The city of angels has so much energy, so much happening, that it is almost like a living, breathing creature unto itself. Whether it chews you up and spits you out, or whether it’s a friend, well, that depends on you. In summer, it’s very dry, with temperatures in the 80s, occasionally in the 90s. There really isn’t a winter, but a moderate, wetter season, with temps in the 60s and 70s. Definitely bring extra water when hiking in the summer though! It’s bad. It’s beastly. It’s the worst in the nation. Because it can take so long to get from place to place, you might want to consider living near your work, if at all possible, or at least close to a subway that can get you there while avoiding the worst of it. If you do manage to get out of the traffic snarl and leave the city for some outdoor recreation, there is definitely some gorgeous hiking. You don’t have to go far—there are some great hikes right in the Santa Monica Mountains, just west of the city. Being close to the ocean, many hikes here have beautiful water views. If you want a challenge, head over to the San Gabriel Range for the classic Mt. Baldy (real name: Mt. San Antonio) summit, a 10,064 peak and the highest point in the mountain range. This mountain range towers just north of town, to the east of highway 14 and has a treasure trove of trails, some with special sights like waterfalls, bridges, and historical points. 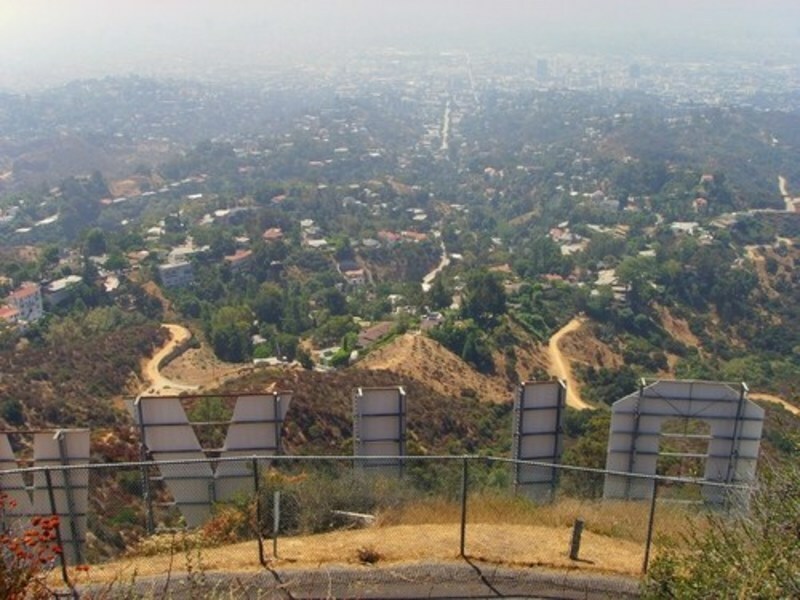 Check out http://www.modernhiker.com/la-hiking/ for more ideas. With 272 neighborhoods, there’s a lot of variety to choose from. Neighborhoods differ not just by geography and income, but they have their own unique cultures and sometimes even a different variety of languages, depending on who lives there. I should mention that neighborhood segregation is a real thing. After all, this is the city that invented judging people based on their zip code. The rich and famous like to keep to themselves in some of the neighborhoods you’ve probably heard of (like Bel Air) as well as in Beverly Hills, which is technically it’s own city even though it’s right in LA. The aforementioned Santa Monica Mountains separate downtown, east LA, and other neighborhoods from “The Valley” which is north of the mountains. The other defining geographical factor of the city is how its southern limits are squeezed in by other cities that aren’t technically in city limits. This leaves a narrow strip of LA (in city limits) that bubbles out in the south when it hits the ocean at Terminal Island. So places like Long Beach, Torrance, Carson, Compton, and Inglewood, are their own cities---not LA neighborhoods. 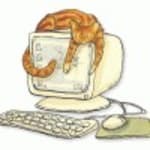 I don’t have space to list all the neighborhoods here, but definitely check out the reviews of places you’re considering to get a feel for them. 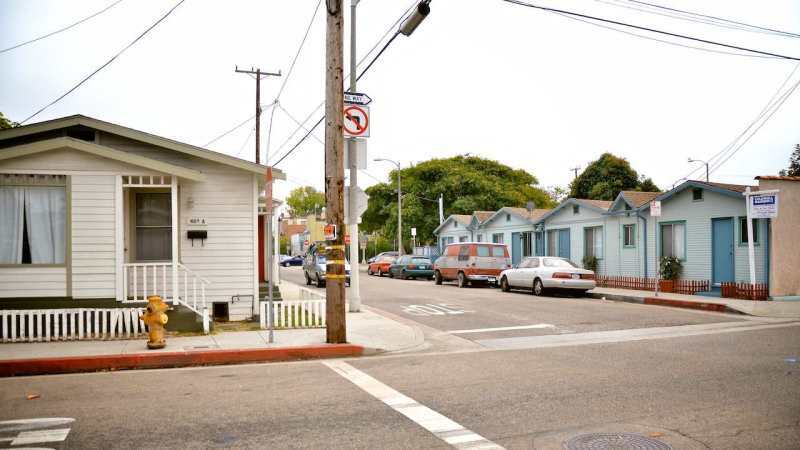 EmmanuelleAlva Los Angeles neighborhoods represent the palpable realities of segregation.The middle class find itself between moving in a nice neighborhood and living paycheck to paycheck. The other option is to move in a poor neighborhood and making ends meet. 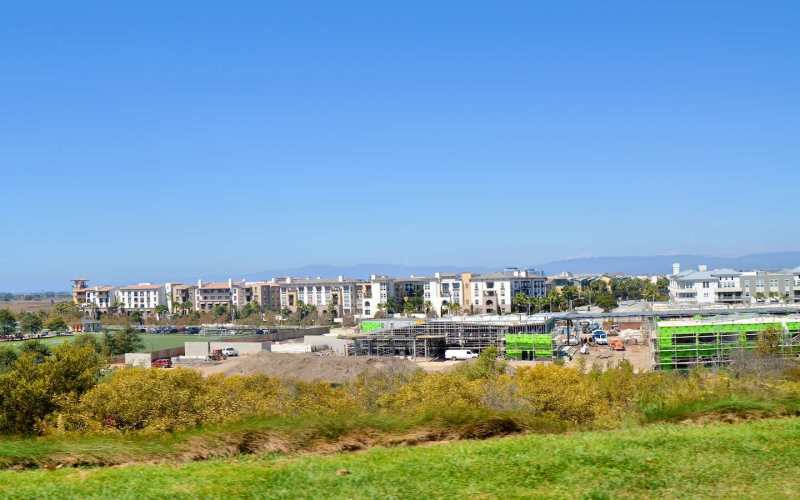 I live in Orange County and love it, however I see the new housing constructions start at nearly 1 million dollars. Irvine has great schools ratings (http://www.school-ratings.com/schoolRatings.php?zipOrCity=Irvine). I used to live in Bellflower and was looking for a great school . Wow! What a surprise when I realized that I had to look for the wealthy areas if I wanted my daughter to enroll in a school that doesn't require lottery. The education substandard level in some areas force schools to operate on a lottery to choose students from a waiting list. Not for my daughter! "It Won't Gag You With the Spoon"
The San Fernando Valley is the northwest section of Los Angeles County. It is separated from most of the rest of Los Angeles by the mountain range that moves inland from Malibu and ends in Griffith Park. “The Valley,” as everyone from the LA area calls it, has been my home for most of my life and like most of the 1.5 million people who live here I am more than a little ambivalent about it. On the one hand, it is very much a part of me, and I have grown comfortable here. On the other, I’ve always thought of the Valley as a Wasteland with nothing particularly unique or interesting about it. Most of the Valley is a giant strip mall, with the usual set of 7/11’s and Target stores. 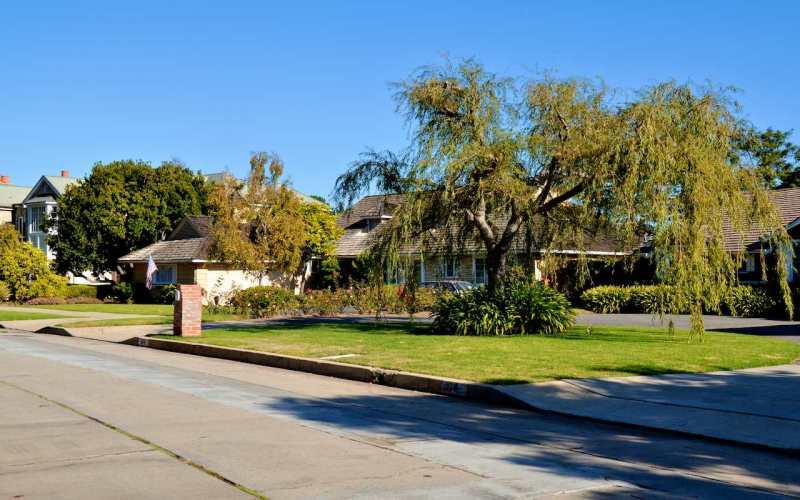 Just about every neighborhood in the Valley is dominated by 1950’s style Ranch homes. For those who don’t know the Valley that well, you could be dropped into virtually any of the 34 “neighborhoods” and you would have a hard time telling the difference between it and anywhere else in the Valley. Once you live here for a while, you start to notice subtle and not so subtle differences between the different neighborhoods. The not so subtle differences have to do with income and opportunity. If you think of the Valley as a bowl, what you find is that those in the middle of the bowl are poorer than those along the rising hills at the edge of the Valley. I certainly know this first hand. I have lived in four neighborhoods in the Valley: Northridge, Reseda, Van Nuys and Woodland Hills. Except perhaps for Woodland Hills all of these neighborhoods have been in steady decline for most of my life, with incomes in steady decline. Which is not to say that Woodland Hills and similar places have thrived, exactly. Woodland Hills is fairly typical. I moved here in the 80’s and went to Taft High School. Back then, the hill behind the school was empty grassland. By the time I graduated there were office buildings being built. When I came back from college at UCLA, Woodland Hills was crowded and you could even come across occasional homeless types wandering around. You no longer had the feeling that you were at the edge of the county. It was as if the tide of the city had swept up and swallowed the neighborhood. Woodland Hills, however, has taken some steps to hold off some of this tide and to keep the suburban feel that it once had. We’ve had mixed success, but I still think that this is a pretty good place to live, mostly without the major urban problems you come across as you head south towards downtown. Not only is there a big difference between the interior Valley and the hills at the edge, but there is also a big difference between the eastern side of the Valley and the west where I live. Burbank, for example, where my mom lives should be considered as its own entity and would be if it were not so close to Los Angeles. Like Pasadena and Glendale, it has more than 100,000 people in population and really is self-sufficient. 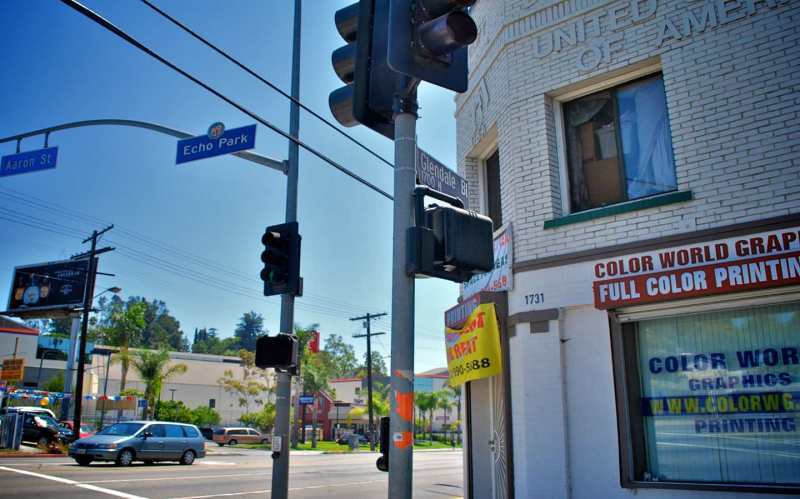 North Hollywood and Studio City both have more of an urban feel than the west Valley. You could also make a distinction between the north Valley (especially the northeastern Valley) and the southern Valley. On the north, things get considerably dustier and more western looking than in the southern Valley. Places like San Fernando (city not valley) and Sylmar with their dirt sidewalks and flat look against the stark, chaparral filled hillside, just feel very Southwestern. While on the southern valley, tucked away against the leafy mountains, there is much more of a Californian feel—if that makes any sense. The most affluent neighborhood in the Valley, Porter Ranch, also has been immortalized by being the setting for Steven Spielberg’s E.T. The Valley is the kind of place where you are never too far from the celebrities, from Britney Spears and Kristen Stewart living in Calabasas and Hidden Hills to friends coming into contact with the odd luminary. I have personally met Howie Mandel (he really doesn’t like physical contact), gone to school with minor celebrities and had friends who dated the likes of Marcus Allen. It is just a part of life living here. It doesn’t happen every day, but if you live here long enough, you will inevitably have a star cross your path. As to issues like crime, it is pretty much as you might expect it. In interior neighborhoods it can be pretty bad. A place like Pacoima gets close to 9 or 10 murders per year, while Woodland Hills gets only one. Even adjusting for Pacoima doubly large population, you can still see that living on the edge of the Valley is a lot safer than in the interior neighborhoods. 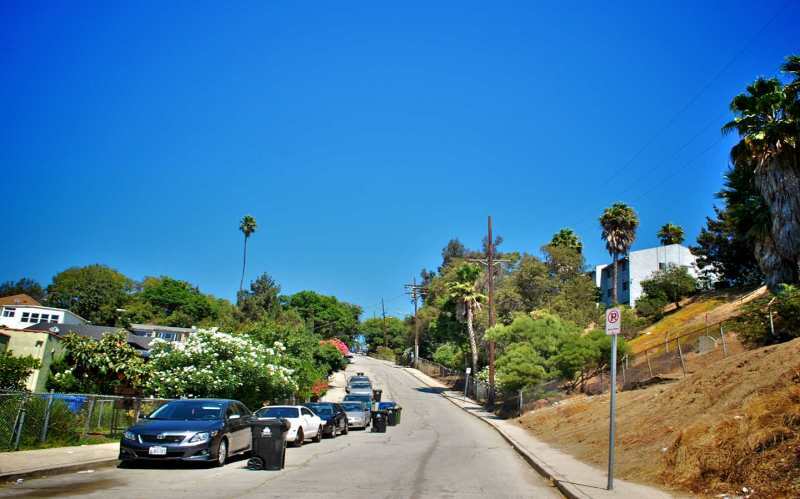 Hidden Hills is, in fact, tied for the safest neighborhood in all of Los Angeles. The schools in the Valley follow a similar pattern with the strongest schools being on the hills and the ones with the most problems being in the interior neighborhoods. This is not to say that all the schools in the hills are great. My own alma mater, Taft High for example, only gets mediocre ratings these days. 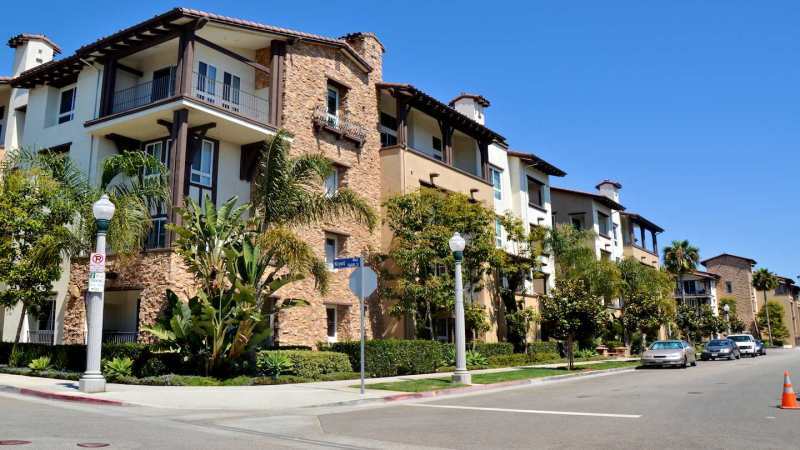 Overall, however, the Valley is still a relatively affordable option for those who live near LA. On the upside, this is a very diverse neighborhood, about half of the residents are Latino and a quarter are African American. There is also lot of historic architecture in this neighborhood. Most of the homes seem to date from before WWII and occasionally you get some real treats in terms of these smallish working class homes. There are lots of those Craftsman style homes with the thick columns and heavy looking overhanging porches with walk up steps. I’ve met a lot of older timers who grew up here and have fond memories of it back in the Fifties, Sixties and Seventies. They mention how there used to be a great bowling alley, and how one of the first Sizzler Restaurants opened here. They mention how they used to walk to school by themselves and there was no problem. As you might guess, this is mostly gang violence and crimes related to gang activity. Residents will tell you that there are spots in the neighborhood that are worse than others, but I would not want to live in a neighborhood where a block or two away you are in danger of being killed on any night of the week. Even worse is the schools in the area. The local high school for example, Los Angeles High has the worst API scores I’ve ever seen, ranking rock bottom. All this adds up to a neighborhood that might be centrally located and close to everything, but that most people would rather not even pass through to get where they are going. Sad, but true. Although this area is officially recognized, it is really not a true neighborhood—not yet anyway. More than anything else this is an attempt to draw business to the stretch of Ethiopian restaurants along Fairfax Blvd. near Olympic. There are, of course, many Ethiopians in the area. They moved here in the 90’s and have helped create the restaurants. 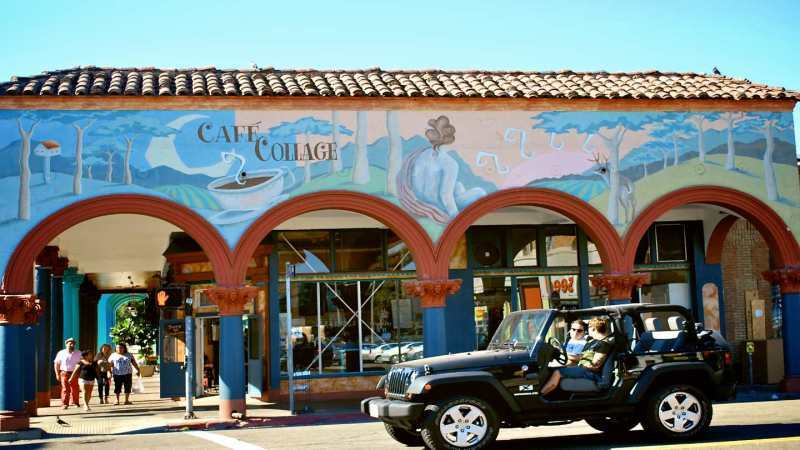 Regardless of the motivation behind designating the area Little Ethiopia, the restaurants certainly do make it worth the attention it has received. If you go onto Fairfax you can find a great kitfo (sautéed beef with spices and yogurt) at Addis, doro wot (spicy chicken) at Messob, Akara (spicy ground black-eyed peas) shrimp at Rosalind’s, tibs at Meals by Genet (sautéed onions and green peppers with a main dish), or a kita firfir for breakfast at Little Ethiopia (onions and butter on pita bread). That is just a taste of the smorgasbord of Ethiopian delights offered on this three block stretch of Fairfax. If you want to build up your appetite by doing some shopping before hand, then you can definitely do that as well. You can dress yourself in the latest Rastafarian chic at Jah Lions and Lambs, or you can get an Ethiopian Coffee Dress at Safari Ethiopian. And, in a rather strange choice for this location, Tony Alva’s skateboard store is here as well. If you want to prepare your own Ethiopian meal or dish at home, you can get authentic ingredients (or as authentic as you can get them States-side) at Merkato, a great little corner market type of grocery store with attached restaurant. Overall, this is great place to have lunch and spend the afternoon after a morning at the nearby LA County Museum—an excellent cosmopolitan adventure of the kind only a handful of American cities can offer. 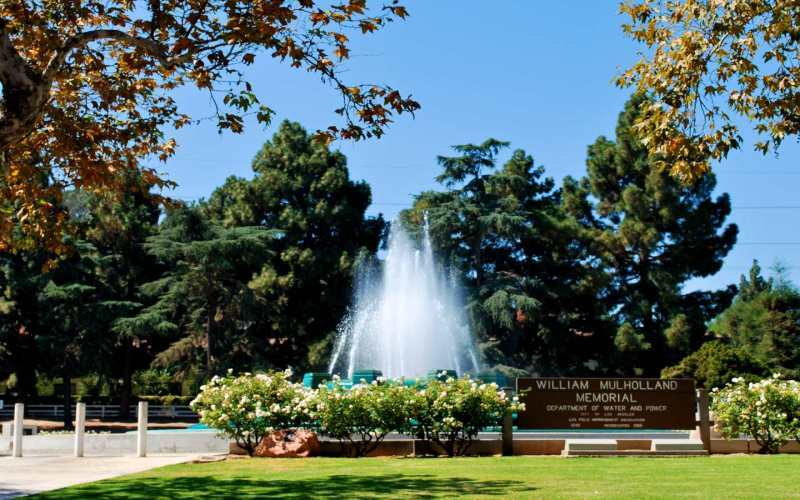 "Beautiful Homes in the Middle of LA"
To the east of the Wilshire Country Club, is Windsor Square, one of the historic neighborhoods of Los Angeles. 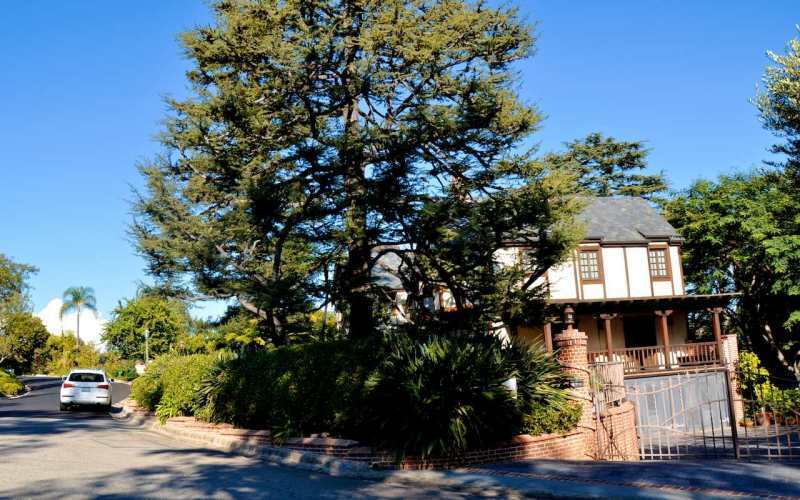 It is an old neighborhood and is the home neighborhood for the Los Angeles Mayor’s residence. 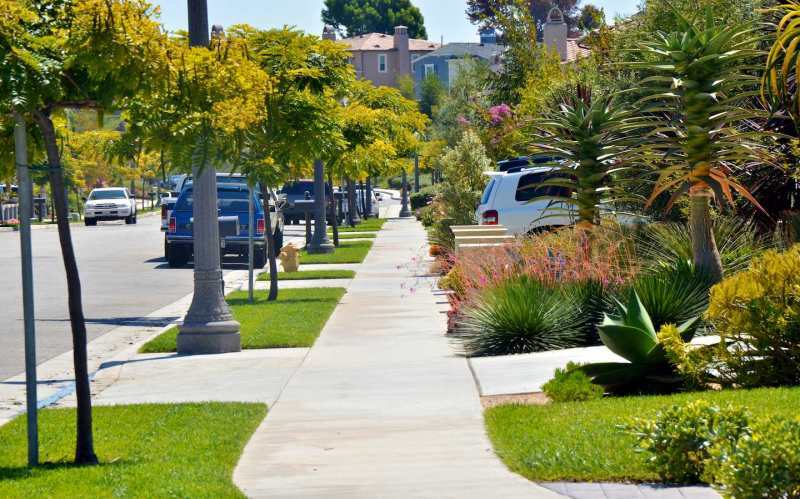 The homes in this city/neighborhood are large and manorly, with immaculate lawns and tall spindly palms. Occasionally, a lawn will have some other sort of topiary as decoration. 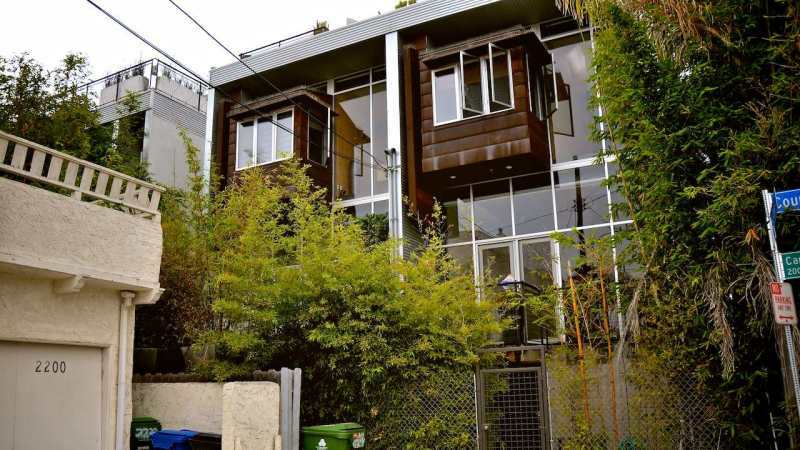 The homes themselves are large, with mostly flat two story facades that I have heard described as Craftsman style homes but that don’t strike me as fitting into this category. They seem more like classic kinds of homes. Some of them have red tiled roofs and stucco like Spanish Revivals. In a few cases the front of the home was highlighted by Corinthian columns white trimmings, making it look somewhat like a miniature White House. Despite the large manor like homes here, Windsor Square is pretty much a middle-class neighborhood when it comes to income. The reason for this is probably its location at the heart of the city. Residents often complain about the noise of LAPD helicopters cutting across this community’s airspace on their way to a police action. I say “cross over” because, despite being in the heart of LA—a city that averages over 300 murders a year, Windsor Square has not had a murder in years. Some property crime does occur here but it is only of the minor car break-in variety, not of the more serious violent kinds. "Busy Road, Quiet Hilside Neighborhood"
Beverly Glen is the small neighborhood at the border of Bel Air and Beverly Crest. 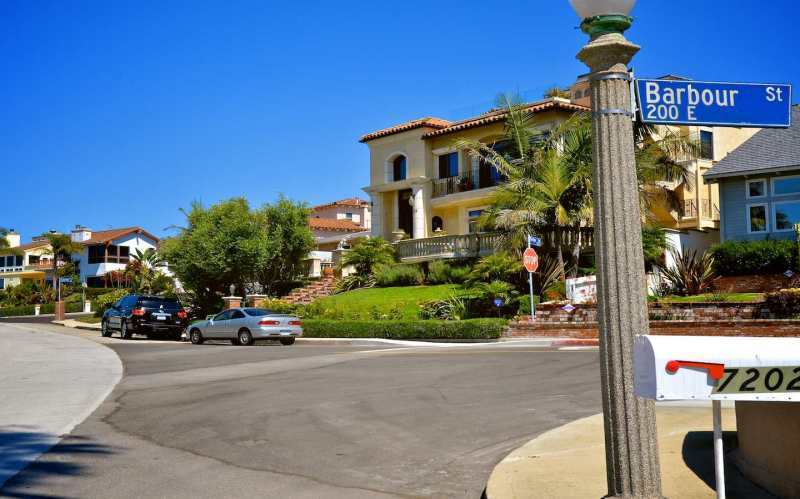 The neighborhood’s name derives from the fact that most all the homes in the neighborhood are on tributaries from Beverly Glen Blvd. 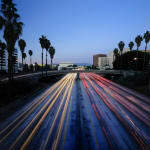 which is a long house lined road that takes commuters all the way into the Sherman Oaks area of the San Fernando Valley. Unfortunately, this also makes this road an alternate to the overcrowded 405 Freeway that runs parallel to it to the west. On your average day Beverly Glen Blvd. is packed to the gills with traffic trying to find a more pleasant (though in no way more time effective) way of avoiding the 405. When it is not rush hour, motorists treat the road like a race track, making it unsafe for pedestrians and for the Beverly Glen Blvd. residents trying to pull out into the traffic flashing by. Off this main thoroughfare the hillside streets are quieter and the homes are modest by Bel Air standards, which means they are far above average for most neighborhoods. This is hillside living, so residents should be prepared for fire scares in the summer when the Santa Ana winds kick flames up near their homes (the big 1961 fire ravaged Bel Air and Brentwood) and in the winter the rain leads to mudslides and the like. 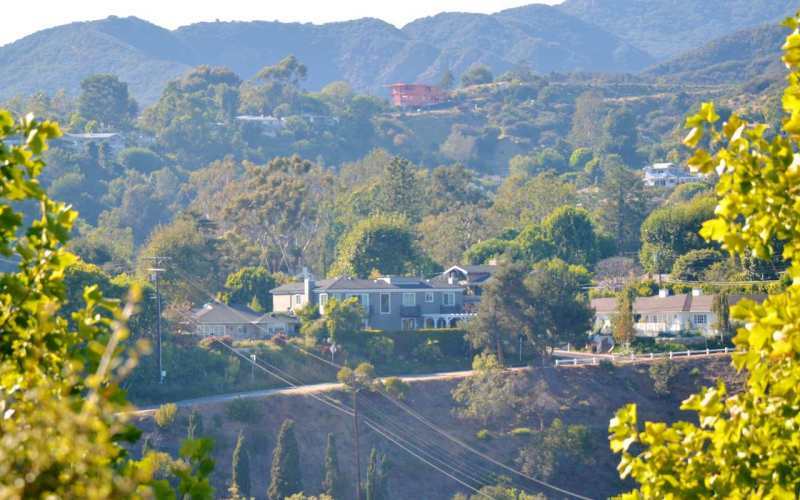 However, the hillside location tends to be a full ten degrees cooler than down in the valley below and there are some pleasant views (although mostly not as fantastic as those in other areas of Bel Air—you will not get views down into LA or over the Golf Course from here, for example). It is expensive here and you will spend a lot of time driving to get home—even small errands down to town will take you the better part of an hour because of the constant traffic. Beverly Glen, however, is fairly self-sufficient with a supermarket and your usual set of everyday stores, so you can limit your trips down into town. 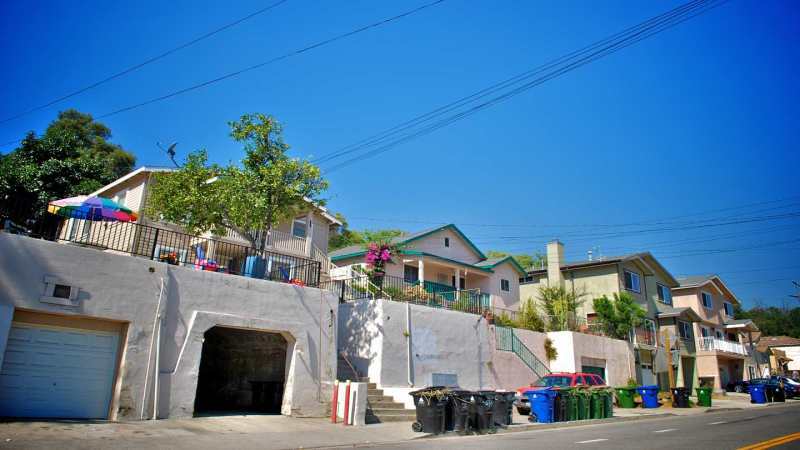 If you like being a little secluded while remaining close to the action, this is definitely the neighborhood for you. "Where the Forrests Meet the Freeway"
Like many of these neighborhoods in the foothill areas of Las Verdugas, Tujunga has a bit of an open-air, almost country feel. It’s more populated than its in neighbor to the northwest and has experienced more problems than Sunland. There are lot’s of apartments down in the flatlands south of Apperson. 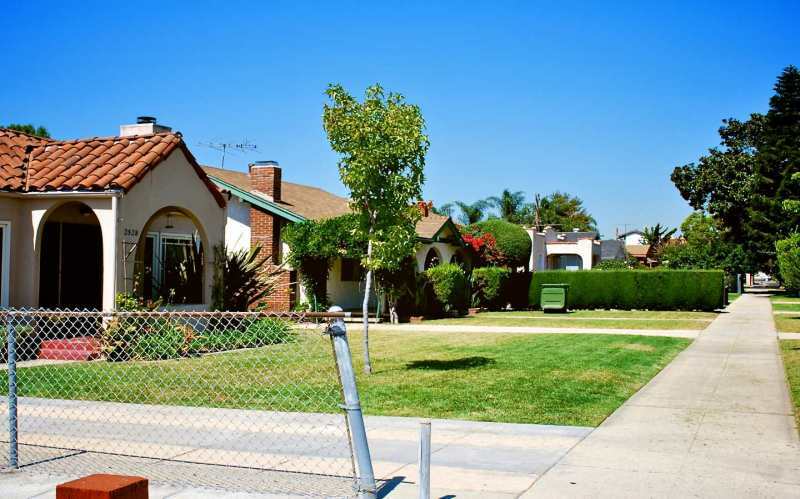 In the hills you get most of the homes, mostly older ranch style homes, somewhat reminiscent of Granada Hills but without sidewalks and with more a run-down sort of a feel to them. With the nearby forests, local hill residents often find dear and other wildlife in their backyards. Tujanga has had a long history as a drug area, first with speed and then with meth. The mostly white community has become increasingly resistant to changes that they see as threatening the safety and “character” of their community. A case in point was the attempt by Home Depot to open up a store at the border with Sunland. Locals from both communities protested because they feared the depot would attract more day laborers (read “Latino’s”) to their community. Tujunga also has several of problems we associate with the interior neighborhoods in the Valley. In area like the neighborhood known as the “Rock,” crime is fairly rampant. 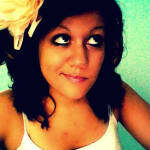 There have been 4 murders sinces 2007 (6 if you include the two that took place just past the city line with Sunland). One was a driveby, two were because of the domestic violence and the last was perhaps a foiled robbery. There are signs however that the community may beginning to turn things around. Locals point to the McGoarty Arts center where residents can get art classes and Bolton Museum. There seems to be a clear sense of civic pride that may back up this sense of imminent renewal. Though little word of such changes have escaped Tujunga to the rest of the Valley where Tujunga does not have a particularly strong reputation for being up and coming. Sunland is a big area, but it doesn’t have a lot of people in it. There are about 15,000 people here, 2/3 of them are white and slightly older, like in its western neighbor, Shadow Hills. 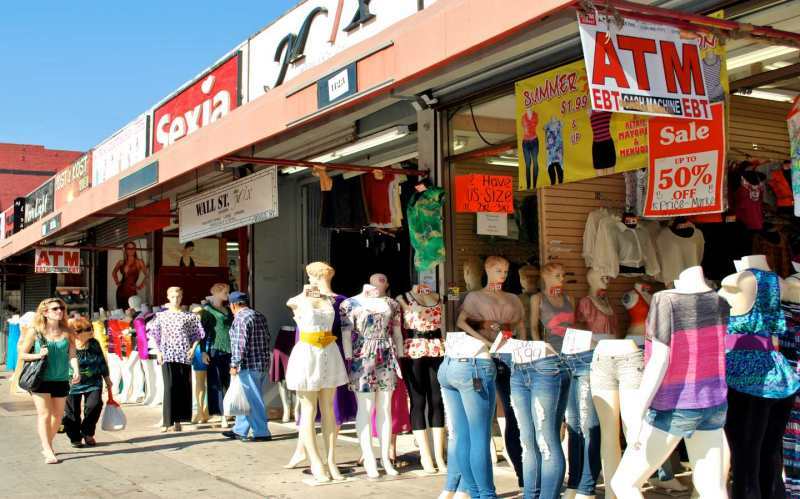 As you head east in Sunland and closer to Tujunga, the population becomes more Hispanic—one of five of Sunland’s residents are of Hispanic heritage. The median income in Sunland is far lower than in its western neighbor—about $70,000 per year, situating the community as mostly in the upper middle class range. There are a lot of residents of WWII and Korea in this area and lots of farms in the north eastern stretches. Ranch homes rule the day in this dry hillside community, with the best homes being farther up into the hills. Sunland’s location gives the residents a respite from the worst of Valley smog. 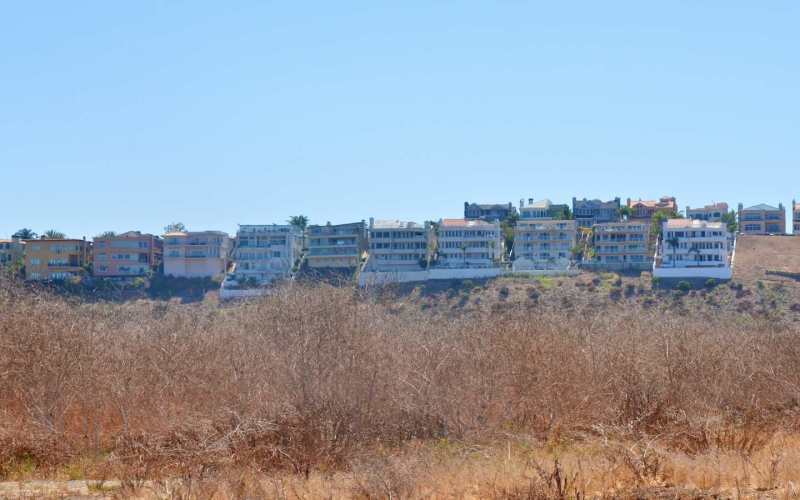 The hillside homes also have attractive views of very Western looking chaparral and tan hills. Horses are not uncommon in some spots near its western border. More than two thirds of residents own their homes here and many have raised kids and retired. This is yet another one of those communities, like Chatsworth, that feels somewhat frozen in time—as if it were still 1972. If you were filming a scene meant to take place during that period, you might do that here. Because most residents have set down roots here, this community has a small town feel to it. People know their neighbors, help each other out, go to church together. Public transportation is a bit of a problem in Sunland. 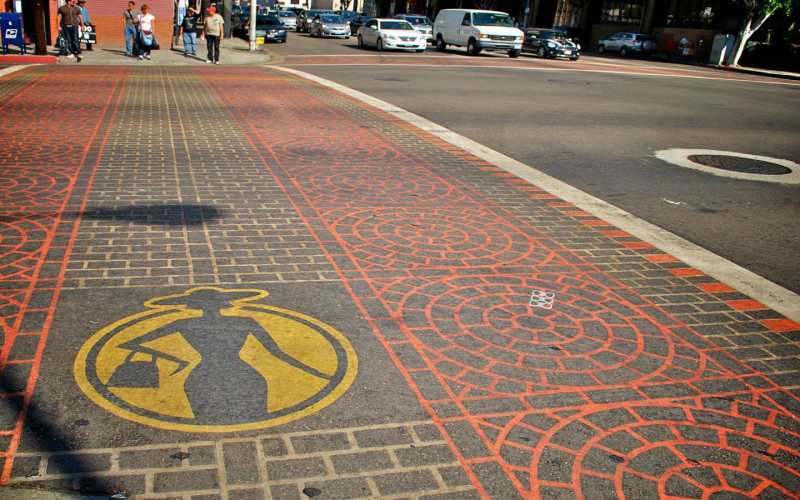 There are only two bus lines and the hilly streets make walking or biking impractical. Not to mention that even if you did bike, you would have so far to go that you would spend most of your day doing it. Foothill Blvd. is in serious need of revitalization and some new blood, auto repair shops being its main businesses. The restaurant choices are limited mainly to fast food joints, with few sit down choices. 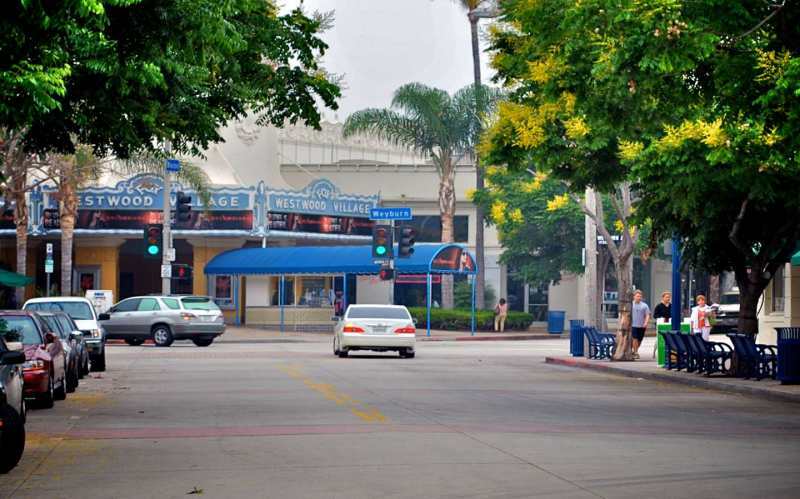 Residents have to trek into Burbank if they want to go to a good restaurant or catch a movie. At the border with Tujunga, the community starts to feel the negative effects of its more urban neighbor. There are homeless people in the parks and a generally dilapidated feel to the schools and streets. Many store fronts are closed, with Target having left. Day laborers wait on many street corners to be picked up for day jobs. As you might expect, it is along this Tujunga border that most of the criminal activity in Sunland occurs. Of the two murders that have occurred in Sunland since 2007, both have been on the border with Tujunga. 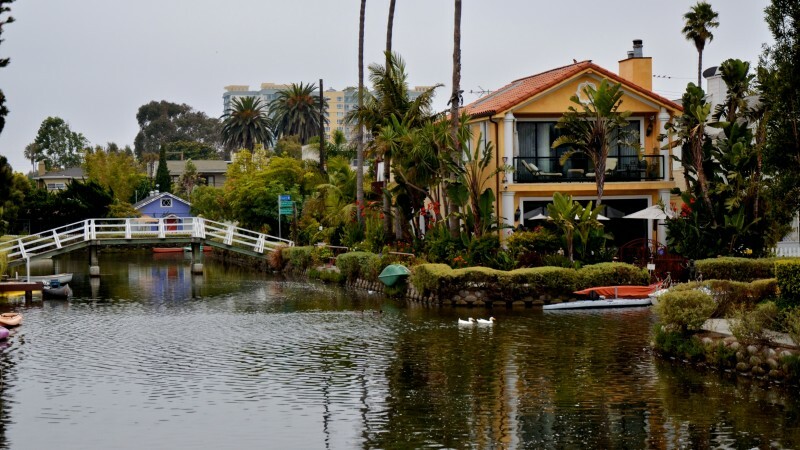 The Venice Canals area is one of my favorite parts of Los Angeles. It's insanely expensive to live here but it's just so cool. The canals were built in 1905 to drain the marsh land in Venice in order to develop a new, posh beachside community. Apparently, there were all kinds of tourist attractions and amusement rides; and, people came from all over Los Angeles to ride on gondolas in the new canals -- just like Venice, Italy. When Los Angeles annexed Venice, they paved over many of the canals despite protests from residents. Today, there are only a few left, but the houses that are on the canals are really incredible. Many of them can only be entered on walk-streets. So, there's pretty much only boat traffic going on behind the houses which I think is so cool. You are not allowed to have motorized boats so there isn't much noise on the canals. And, this area is about two blocks from the beach so you are surrounded by water. The houses on the canals vary greatly. They go from tiny 1,000 foot cottages that were built at the turn of the century to massive homes built in the last decade. 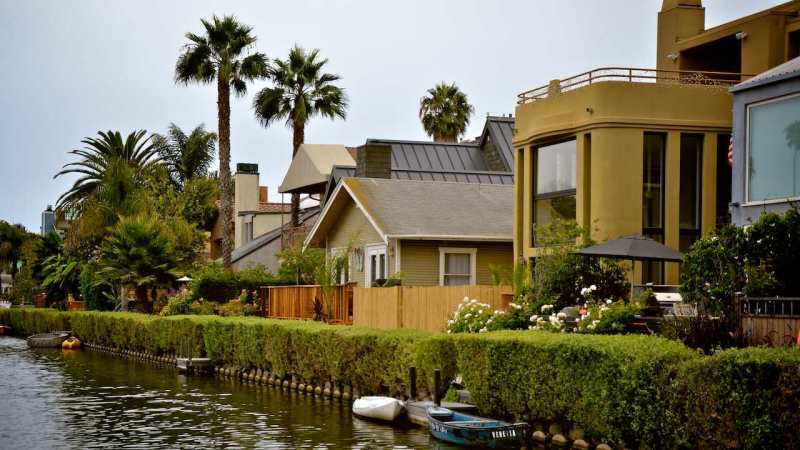 But, no matter what kind of house is on the canal, you can rest assured it is extremely expensive. The minimum house price for this part of town is well over one million dollars. 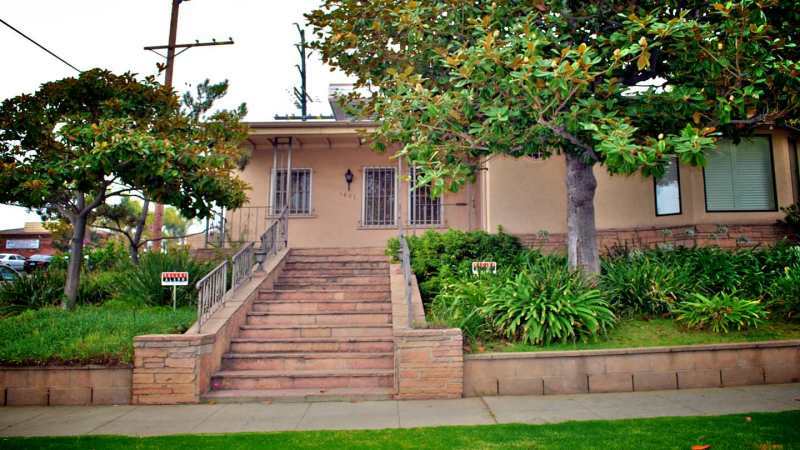 And, a million bucks is a lot of money for a tiny bungalow -- even in LA. Living in this area is sublime. 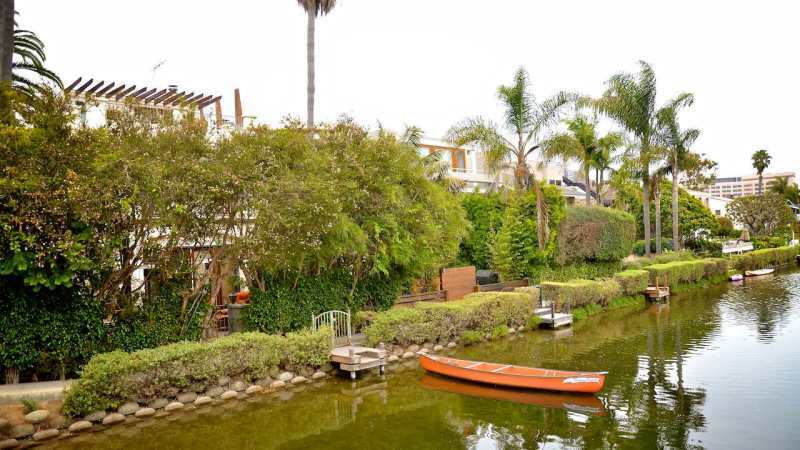 Tranquil canals behind you and the very eclectic Venice Beach a few blocks away. 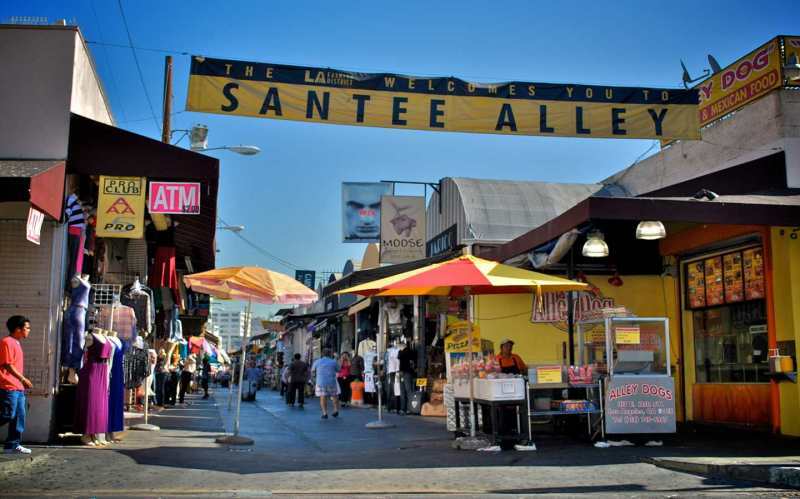 There is incredible shopping just up on Abbot Kinney, and great restaurants and bars within walking distance. If you can afford it, it just doesn't get much better than this area. "It's got it all: for the Valley"
Sherman Oaks covers just about every thing for every type of person. It's the most prominent part of the valley. 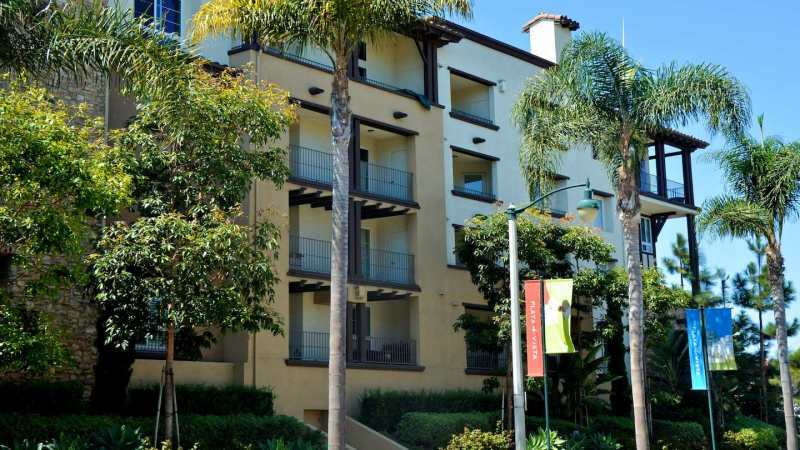 There are tons of apartment complexes of every kind in Sherman Oaks. 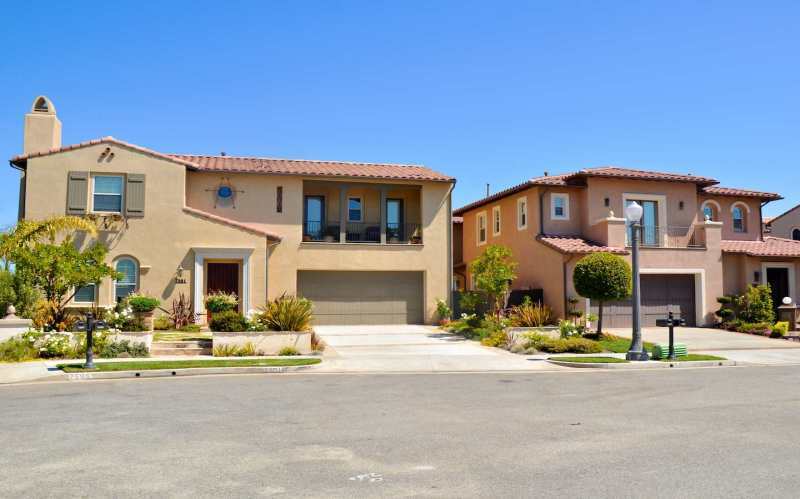 They're a little pricier than apartments should be in the valley (in my opinion), but a lot of them are really nice. 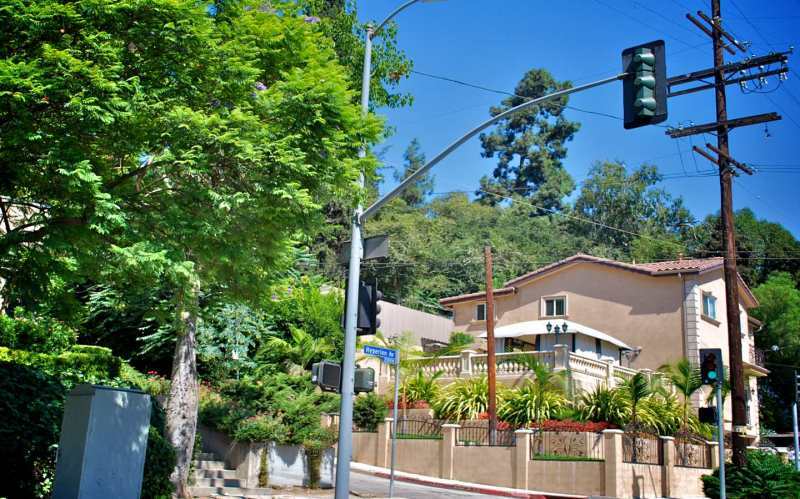 There are also some incredibly beautiful and huge homes on peaceful suburban streets throughout Sherman Oaks. One of my best friends lives right in the thick of one of these streets and it is glorious. It looks like Father of the Bride street and you can smell bbq in the air and kids jumping into the pool on the weekends. It's really nice and doesn't seem like Los Angeles at all. Sherman Oaks is also the mecca of chain restaurants. There's an entire "mall" of just chains like Cheesecake and PF Changs with a movie theatre. The Sherman Oaks Galleria -- just up the street from the food mall -- is one of my favorite malls in the city. It has everything (even the Macy's is really nice) and there's always parking and it's generally just not as crowded as the other malls. Sherman Oaks is also home to the best Mexican restaurant of all time: Casa Vega! There is always a crazy wait at this place because the secret's out on how amazing this place is. The margaritas are served in pint glasses and the mini-chimis are unreal. I love this place. Cafe Bizou is also a great restaurant in Sherman Oaks but the crowd is a bit older and more sedate. The nightlife isn't fantastic but there are a lot of little bars all over the place in this neighborhood. It's just an all around neighborhood even; although it's definitely more desirable for a more mature crowd. 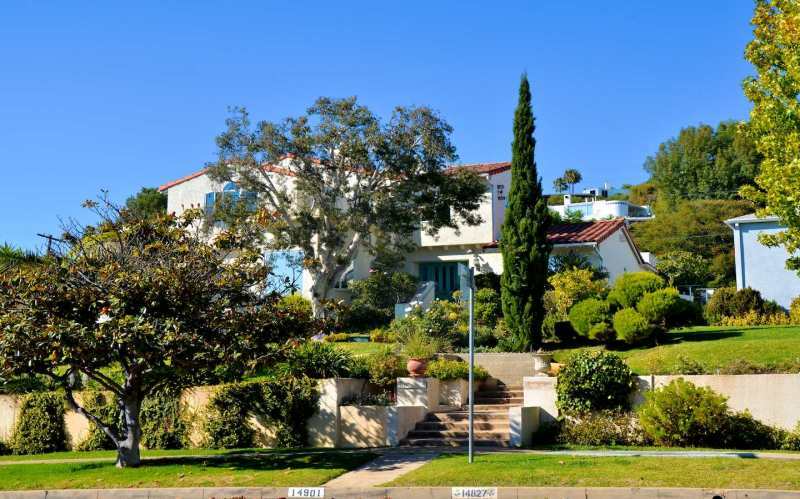 When I was growing up, Pacific Palisades was one of those places I heard my parents speak of reverentially, as the place they would live if they had the money. It was by the beach, yet it was civilized enough where you could have a house there and not feel isolated from the world. 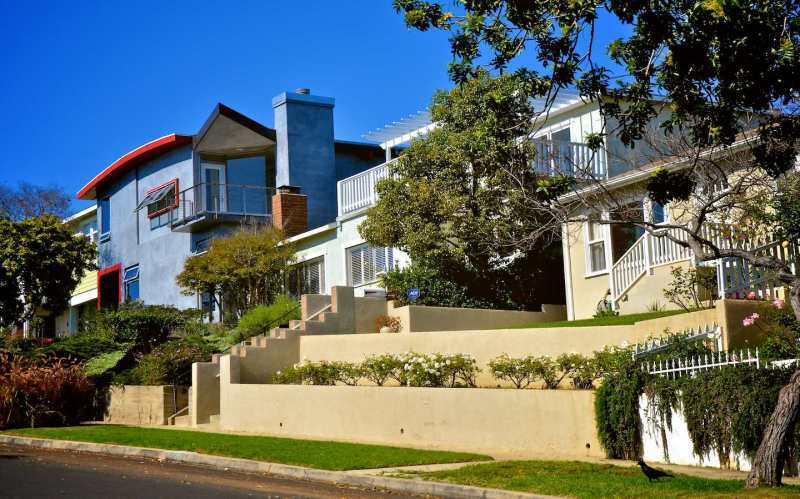 Pacific Palisades no longer has quite the cache it once did, but it is still an amazing seaside community. 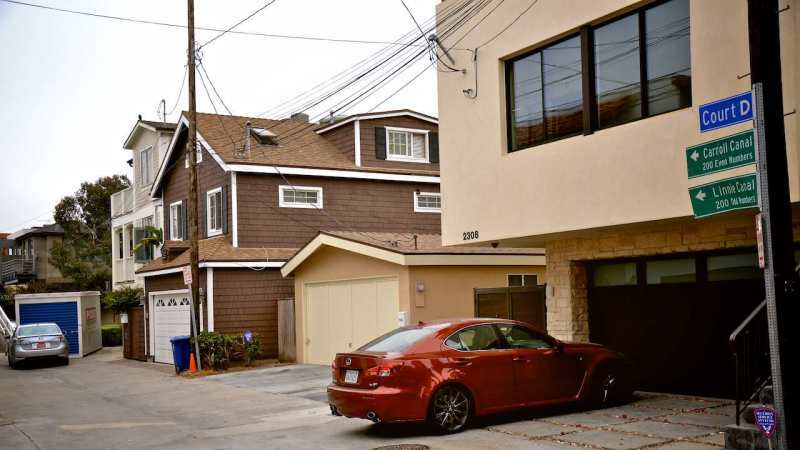 As you would expect from such a beachside community, Pacific Heights is an affluent community where, according to census data from 2000, the average resident earns a six digit salary, is white (close to 9 of 10 are white here) and is old (the average age is 43). As you would also expect, 2/3 have at least a Bachelors degree and 1/3 have Masters or higher. There is also a large proportion of WWII and Korea veterans in the area. Put simply, this is a richer older community, well set in its ways. 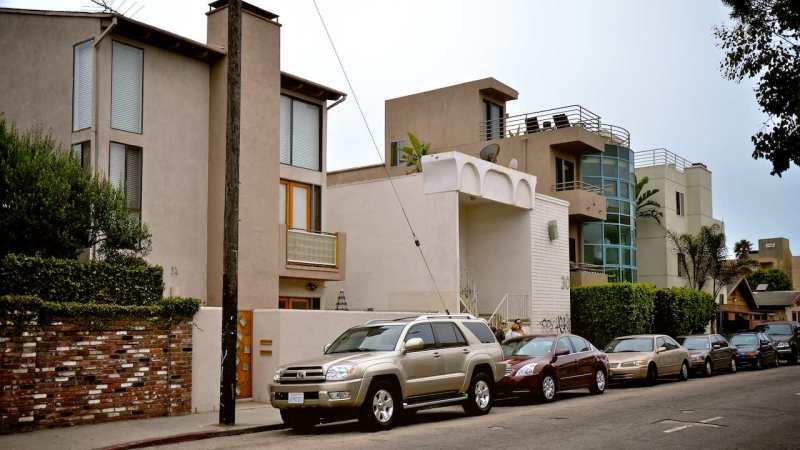 The small number of minorities in the area can be a little off putting to those who are used to the more diverse neighborhoods typical of Los Angeles. There are many beautiful well-kept homes here in a variety of styles. 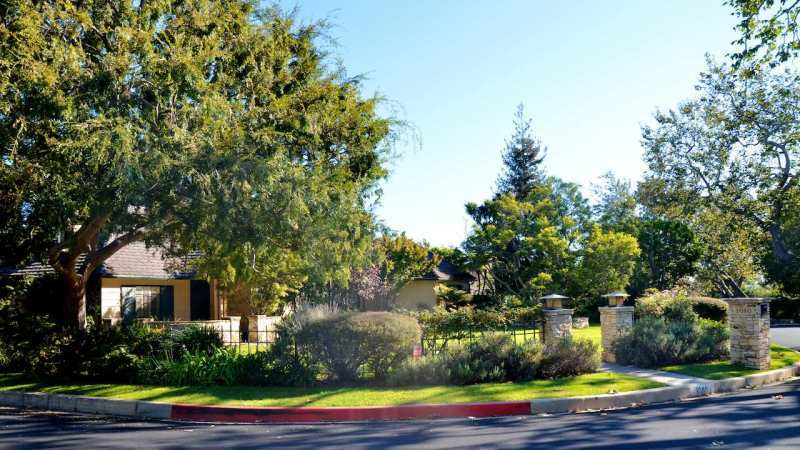 Sprawling ranch houses sidle up to high roofed Tudor Revival homes which are themselves courted by leisurely elegance of the Mission Revival style. 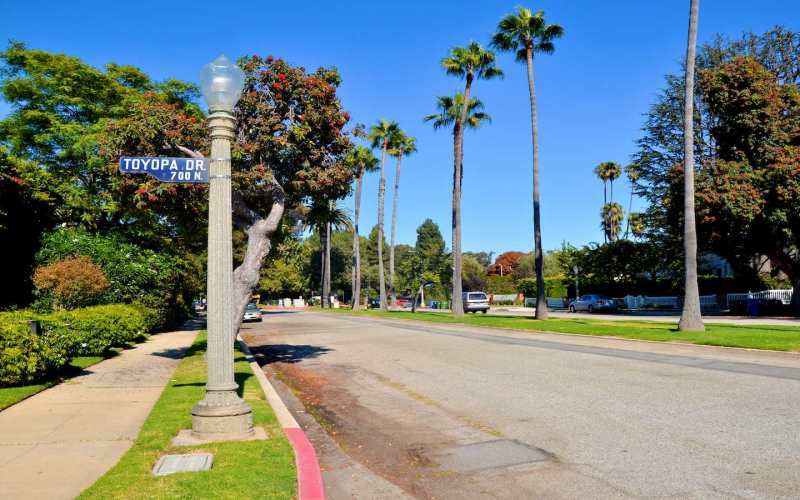 Many streets are dotted with old style stone lamp posts of the kind you usually only find in the older sections of Burbank. 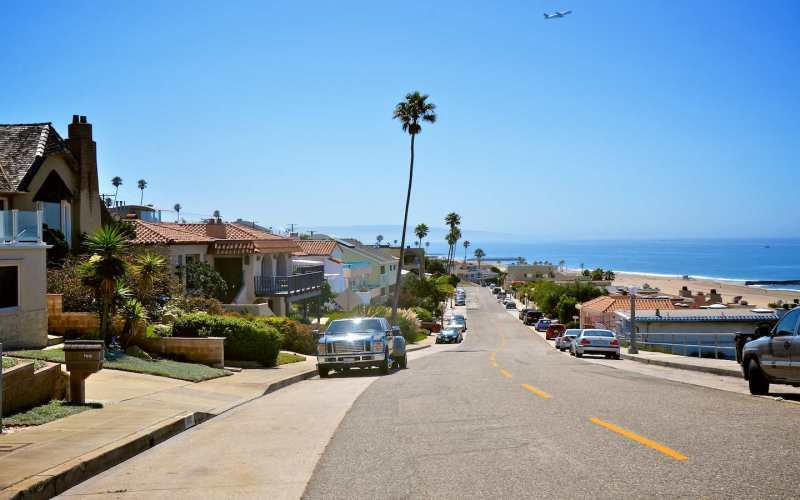 These are leafy neighborhoods that even in the summer rarely heat to uncomfortable levels because of their proximity to the sea. 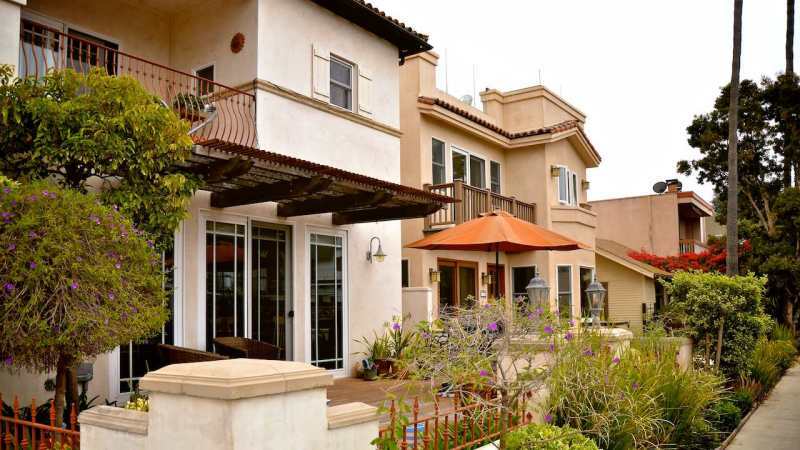 Many of the homes in the Marquez Knolls area and the Highlands have panoramic ocean views of the kinds that attracted Hollywood luminaries like Ronald Reagan. 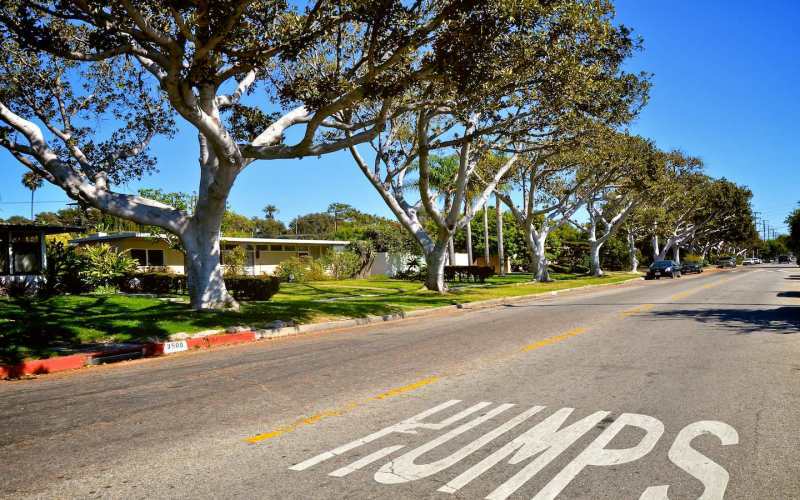 Pacific Palisades also has great schools. 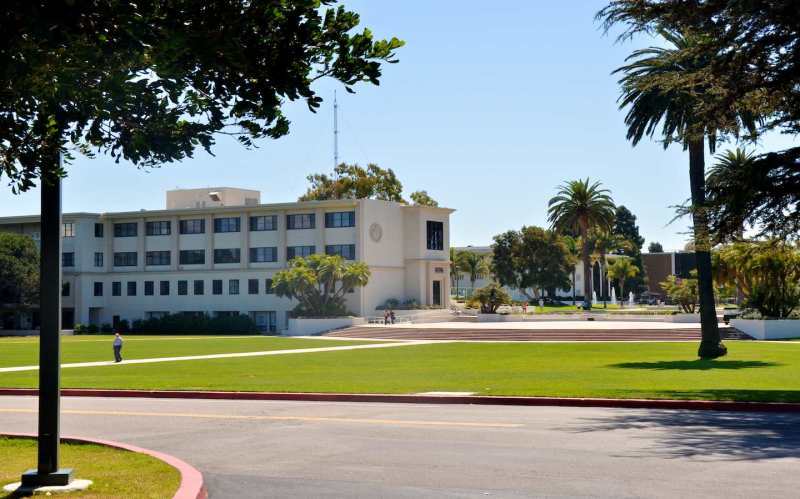 Pacific Palisades highschool is well recognized for its academic standards and rigor, despite its ocean side location. There are also a series of local private schools that cater to the affluent community, including Carlthorp and several Christian and alternative schools. 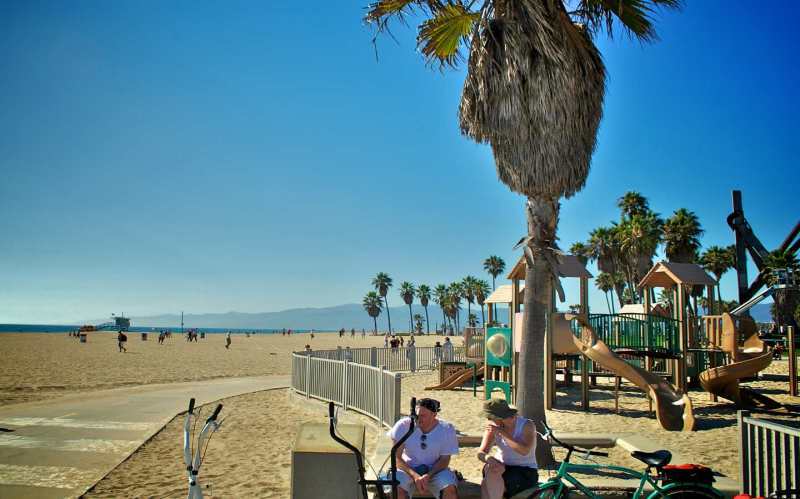 Despite Pacific Palisades’ close location to Santa Monica and metropolitan feel of the areas just to east, the Palisades Village has managed to keep its small town feel as anyone who has been here on the 4th of July can attest. On Independence Day, you can find a typical small town parade, a fireworks show at the high school, and a couple of mini-marathons. On its western end, Pacific Palisades also has one of the great museums in Southern California, the Getty Museum. It is located by the ocean and built to mimic a Ancient Roman villa with majestic colonnades and, in many cases, authentic statuary. 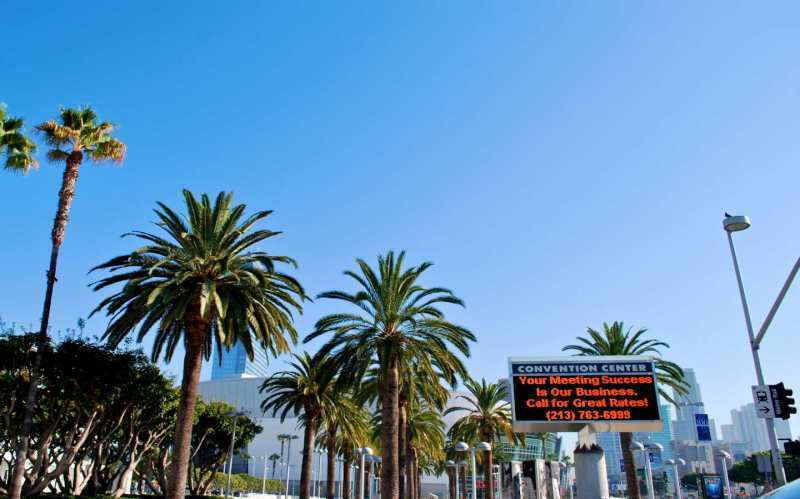 The exhibits rotate, but the experience is well worth the price of admission. 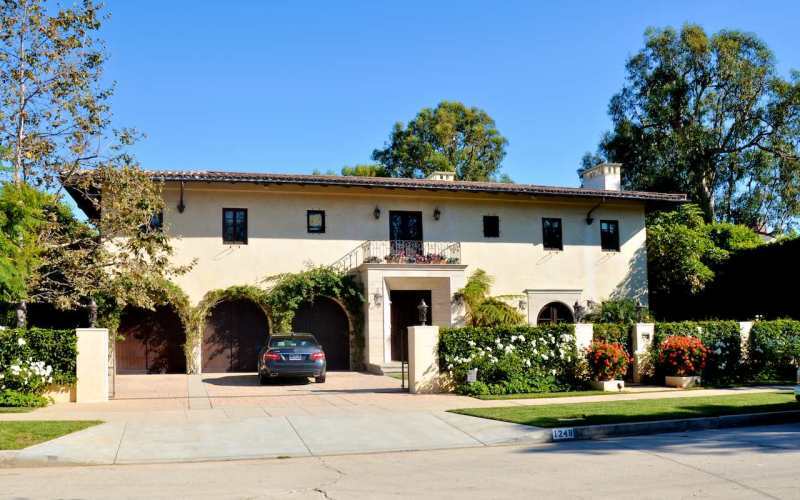 Pacific Palisades is also home to Roy Roger’s Ranch, a beautiful rolling ranch house on the hills overlooking the Pacific, that give you a real sense of why the celebrity and his Hollywood friends loved pretending to be cowboys here. If you too want to play cowboy and like hiking, you will find several trails to do along the Santa Monica mountains. You can also find great recreation at Temescal, Rivas or Roy Rogers State Park. Roy Rogers Park also has a adjacent polo field, where the rich like to hobnob now and then. 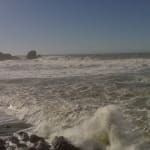 Of course, most people come to this area for the beaches, and that too is certainly in no short supply. "High Class for the Higher Paid"
Encino reminds me of one of the standard cities you would see in a movie that features a city in California as the set. This is a beautiful area, but very expensive. Unless you are making a high salary, it is unlikely you'll be able to relocate to this area! This is an area is home to many of the worlds biggest financial establishments and institutions. The average income of this area is around $1,500,000. There is plenty to do here, however, aside from the dining, real estate, and shopping opportunities the job opportunities are tremendous. 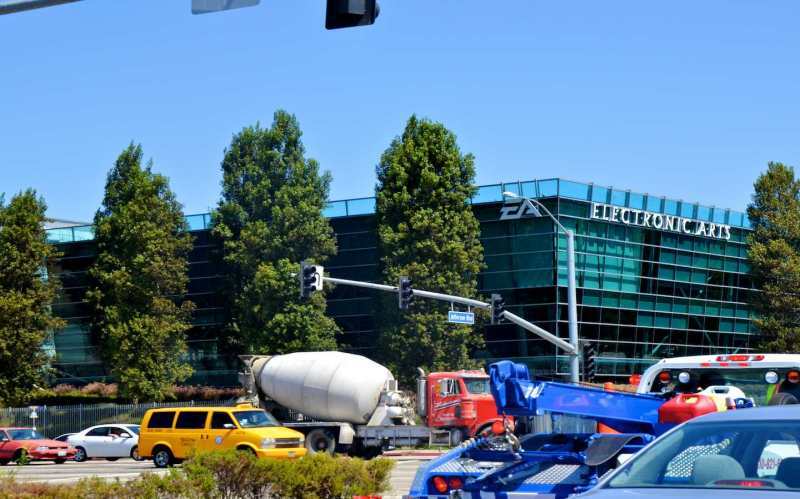 With so many financial employers in the area, anyone in a career field such as this would find their niche in Encino, LA. 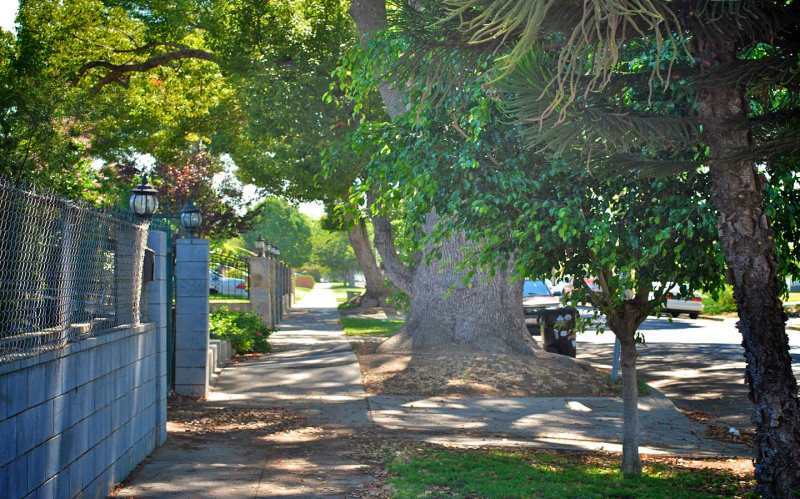 "Nice Area with a Spanish Flair"
Not sure if many are aware of this, but a little piece of history for you- while this city is now part of the San Fernando Valley, it was actually owned by Spain in the early 1800s. It then transferred ownership to Mexico until the Mexican war of 1845 changed territories and boundaries. While this is irrelevant to the present, it explains the Spanish influence that is prevalent throughout this area. Visited this area with my family for a picnic, and I enjoyed the surroundings and spanish influence in this area. It is mostly suburban but has some great restaurants for various cuisine. One place we loved is Zarro Chicken on Topanga Canyon Boulevard. 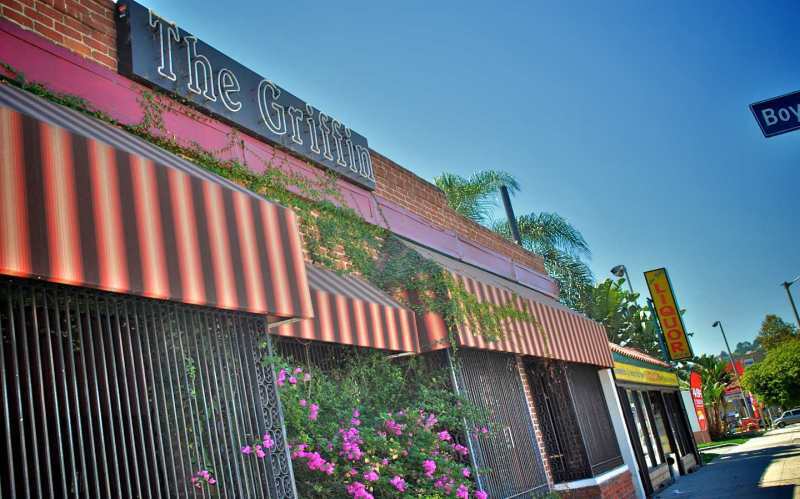 It's a great family atmosphere and has award winning European/Mediterranean cuisine. There are plenty of other eateries though- especially mexican restaurants- this is the real deal! 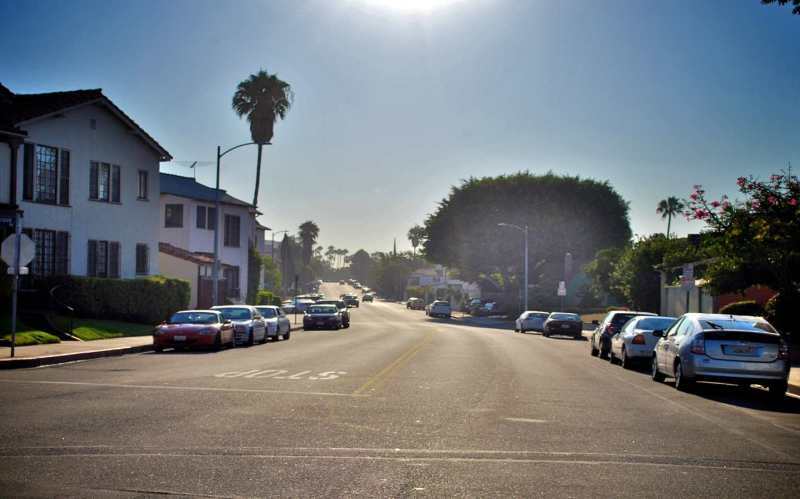 North Hollywood is a sprawling neighborhood at the south eastern end of the Valley, just north of Universal City. In many ways you can think of this area as a microcosm of all of Los Angeles, in that it has outcroppings of gentrified areas, a large immigrant community, many artists and young people, people who work in fields related to the entertainment community (including lots of waiters and would-be starlets waiting for their big breaks), and, of course, some gangs as well. It is one of those places where people inevitably come together, either getting along or not, and it is perhaps the closest thing that you get to a true melting pot in America. 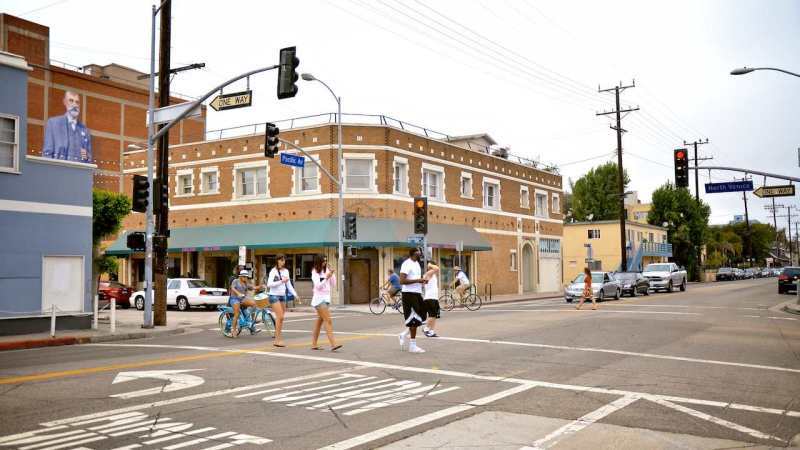 Many people refer to North Hollywood as NoHo, but really this designation is meant to refer to North Hollywood’s arts district near the Metro Station. It is meant as a play on Soho, but people have largely started ignoring that. Most people consider the area around the Metro the best part of North Hollywood and I guess I would have to agree. It is, of course, the most gentrified area and rents are higher than in the rest of N. Hollywood. NoHo earns it name by having a series of art galleries and some artists’ lofts (well, as close as you get to that in Valley). It will soon be home to an art school and is already home to the Debbie Reynolds performing arts studio—so it definitely has an artsy vibe going—even if it rarely is given much credit for it. Since the 1980’s at least, young people have been coming to live here while they tried to claw their way up in their careers, either by going to school or waiting for their big break. They did this because rents were a little lower in North Hollywood than in surrounding areas, there were lots of apartments, and you were right next to Burbank and the television studios and not far from Hollywood and the film auditions. It is also close to the labels if you are a rocker trying to get signed. I remember that moving to North Hollywood had a certain cache when I was in high school, not because it was a swanky area (it has never been that) but because it meant that you were trying to make it on your own without parental help. I think that it is still that for a lot of people here and in that way it reflects the reason a lot of people come to LA—it isn’t called the dream industry for nothing. Of course, the rents are partly kept low because of the usual problems you run into in neighborhoods throughout LA—gangs and drugs and the usual suspects. There are definitely gangs in North Hollywood, especially as you cross north of Victory Blvd. In this northern area the neighborhood looks much more like Panorama City and Sun Valley than the artsy section around the Metro. It is loud, dirty and dangerous and the police in the area are stretched too thin to do much about it. Gun shots and police helicopters are common sounds in the area and you can often watch chases on live television going right through this section of the neighborhood. North Hollywood also has its share of strip joints and drugs and that kind of seedy nightlife, which you would expect from a vibrant eclectic neighborhood. You cannot, however, paint all of North Hollywood’s population with the same brush. Two thirds of North Hollywood’s population are working-class Hispanic families who have no kind of gang affiliation. They have always been a part of the North Hollywood landscape and they provide the back bone for the Valley and the much of the LA area doing many of the hardest jobs for less than spectacular pay. They are often scapegoated for the area’s problems—especially now that the recession has his hard. But this is wholly unfair. North Hollywood is one of the few places where you can live for moderate prices and still have an okay school and relatively safe neighborhoods. North Hollywood High School is not the best school in the Valley—it is only average—but it is much better than many of its northern neighbors and unlike some of its upscale neighbors, it is a diverse school with all kinds of students. 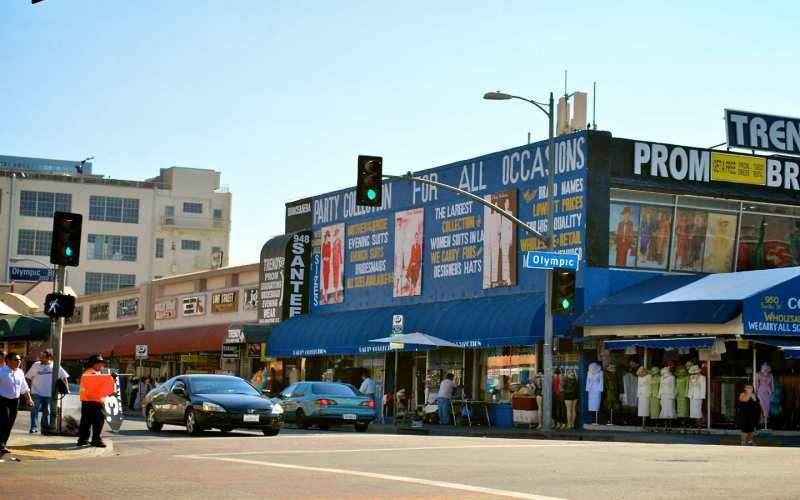 North Hollywood also has lots of good restaurants (not high-end but much better than in other similar areas) and good shopping destinations and a friendliness of spirit in most areas that should really be cherished. Put simply, North Hollywood is LA’s best features in miniature—a tapestry of difference and perseverance with a bit of everything. 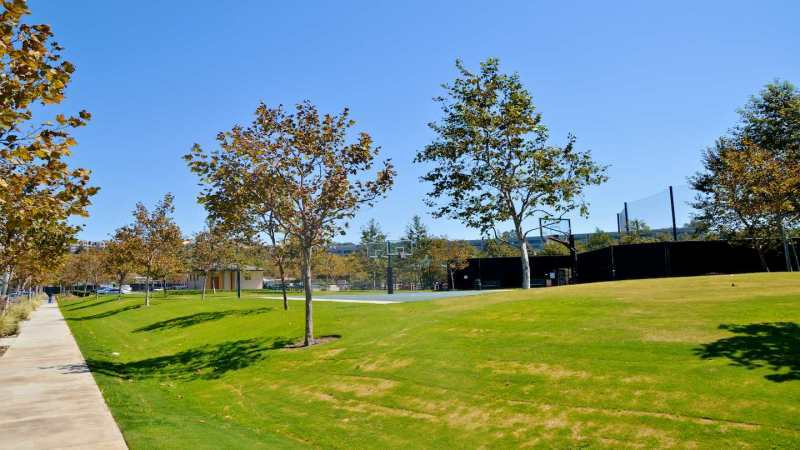 "The Lake, the Country Club, and the Jonas Brothers"
Toluca Lake has long been a favorite spot for celebrities. As early as the 1930’s when Amelia Earhart lived here. In the 50’s Sinatra and William Holden were residents. And now you have the Jonas brothers and Miley Cyrus. It is only about one square mile in size and you can see the appeal. 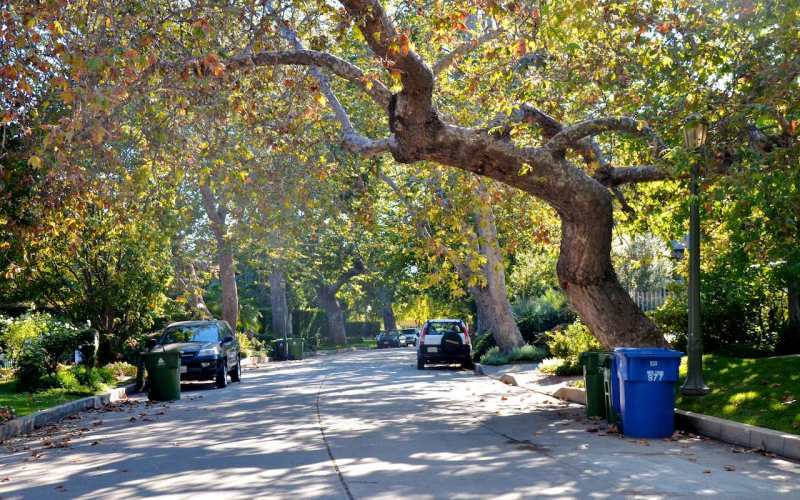 It’s a very leafy neighborhood just north of Universal City and positioned perfectly if you want to commute just about anywhere in LA. 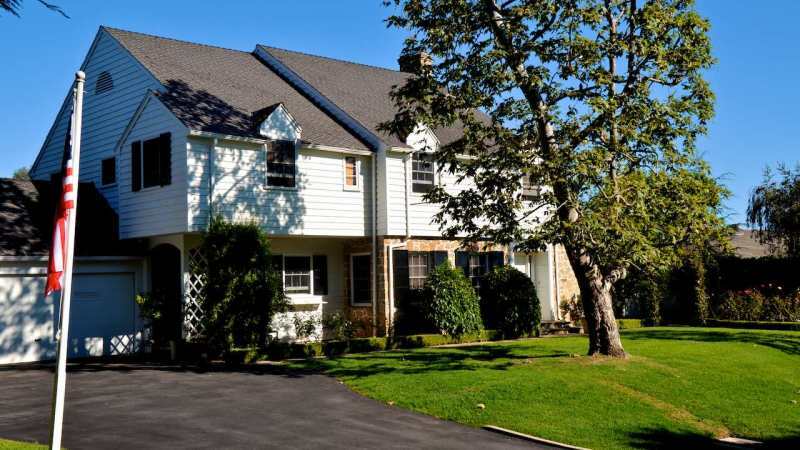 The homes are nice the lake is beautiful and country club sprawls nicely across its southern edge. Even though you are right in the middle of things, there is a pleasant almost bucolic feel to the place. And if you want to go get something to eat there are a myriad of restaurants on the northern end of town, including the original Bob’s Big Boy and Ihop along with an assortment of Chinese food places and high boutique type places that appeal to the well-healed. If you don’t make the kind of money a celebrity makes living hear is not really a possibility, but one can always dream, I suppose. "All Around Great Place to Live"
This area is gaining popularity ever since people starting sprucing it up and putting time and effort into restoring the town and making it more tourist and resident friendly. 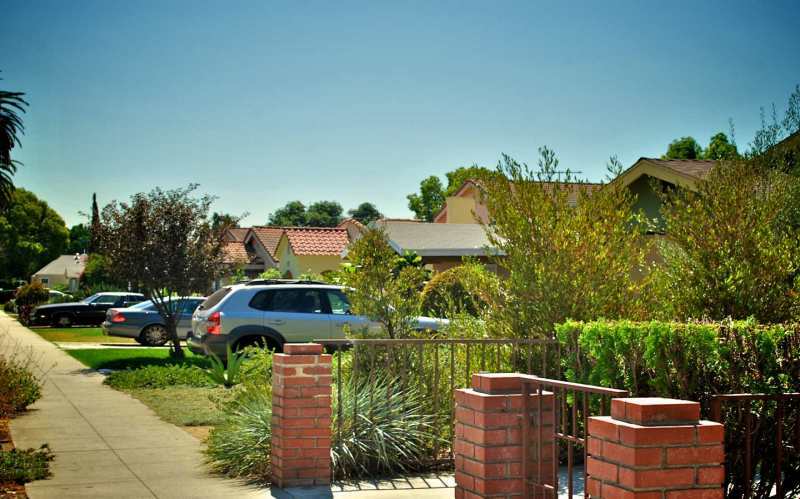 This area is a perfect location, near Glendale and Silver lake it offers average housing, with a unique style. Many of the homes in the area maintain the Spanish theme, tiny little "cottages" that have been around since the early 1900s. They are fixed up, beautiful, and being occupied by people of all ages and journeys in life. As the popularity escalates, so do the things to do. 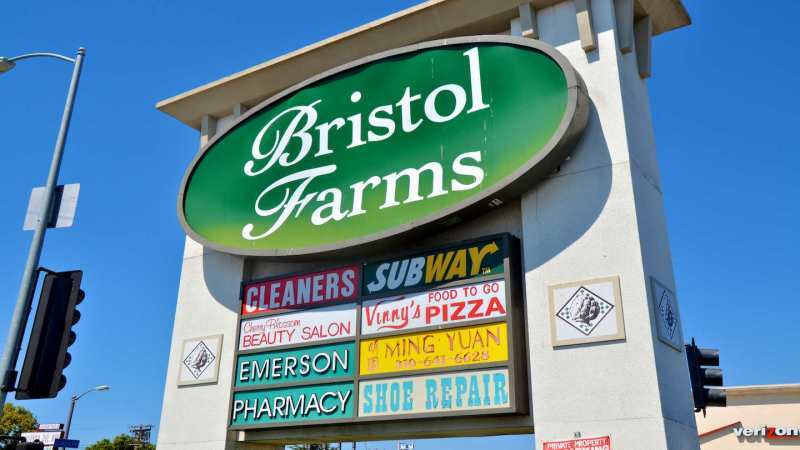 Restaurants, popular chain stores line the strip malls and other tinier stores and shops are in the area as well. Culture and tradition is also coming back to life as Atwater Village has various Scottish festivals and events held year wrong to bring the community closer together. Panorama City is to the east of Van Nuys. In my parents’ days, Panorama City used to have a big GM plant and was known as home to the Anhauser Busch plant. Both have long since left however. 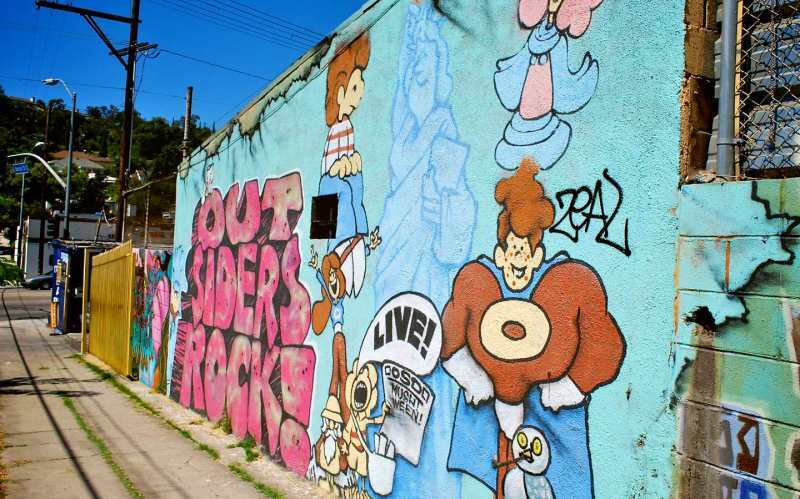 For a little while in the 90’s Panorama City looked like it was going to become sort of a cool spot where college students and young people got apartments to escape higher rents. This didn’t quite pan out however, and now Panorama City suffers from many of the same problems as its neighboring Van Nuys. The big problem in Panorama City is the gangs and the general feeling of danger that residents feel. There are lots of young people here, but there is not a lot of opportunity. The situation has made it prime recruiting territory for the Blythe Street gang. This is especially a problem in the gang’s main stomping grounds by the west end of Panorama City, near Blythe Park. There are some calmer areas to the east, but even there people generally live under a cloud of fear. The schools in the area are similarly run down. Panorama High School, a newer school built to serve the area is not well regarded for its academics or athletics. The best high school in the area is probably the Catholic high school, St. Genevieve, but most of the students there come from other neighborhoods. There is a rather run down mall in the city, but little else. You might be able to find a few authentic ethnic food places here as well, a testament to the true melting pot nature of the area, but the feeling of menace that the area pervades is likely to keep you away. One of the major arteries, Roscoe Blvd., is also in terrible shape needing constant repairs and creating ever new traffic problems. Put simply, this is not somewhere people choose to raise families or live. 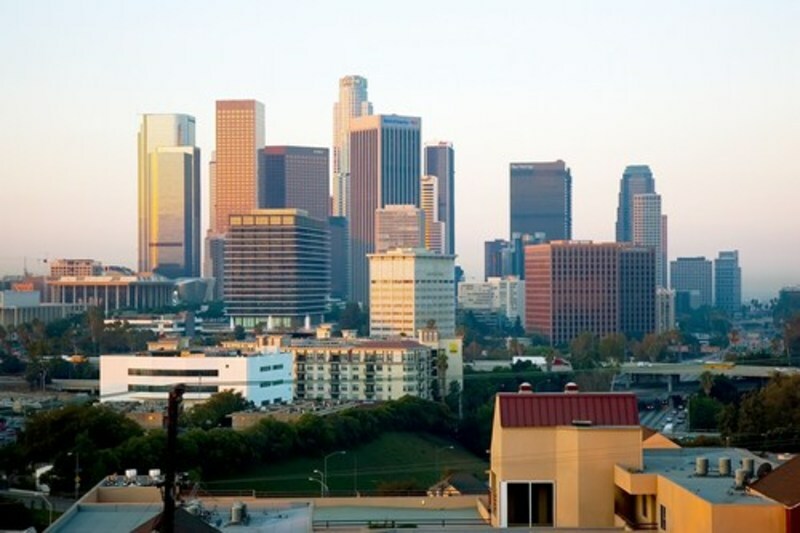 "The Jack of All Trades City"
When searching for a place in LA to live, or even visit, often you try an search for a place that has everything you need and more- you want a well rounded city with not only everything you need, but the extras as well. Sherman Oaks is one of these places. 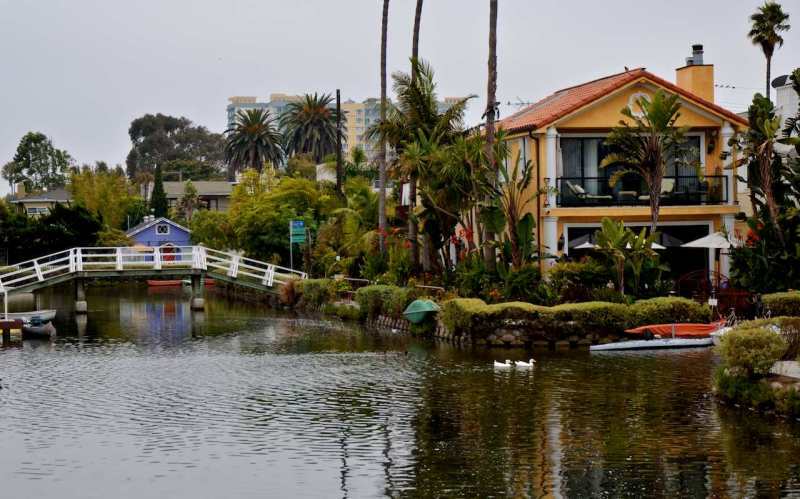 It has some beautiful neighborhoods, not too expensive, for families, singles, and retirees. 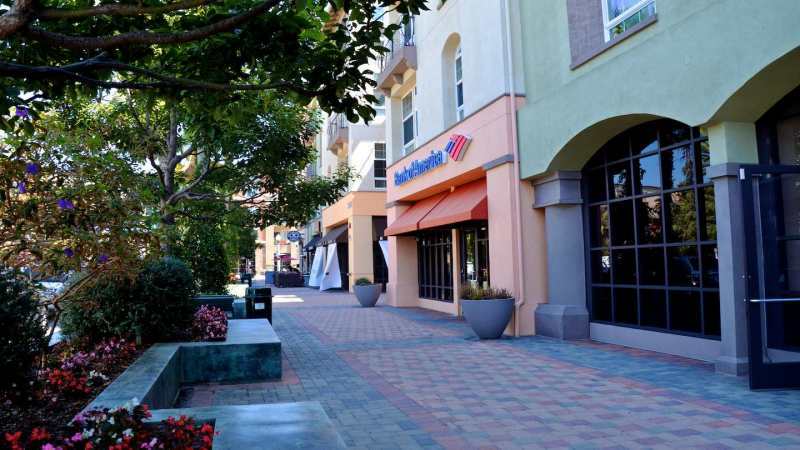 Downtown Sherman Oaks has a beautiful shopping and eating area. There are various indoor and outdoor shopping areas along with quaint and eclectic restaurants of all cuisines and budgets. Top-rated dining with award winning food from around the world offers something to satisfy the palette of every visitor and local resident. There is entertainment for family, singles, and couples every night with a great nightlife- a quaint nightlife but very pleasant nonetheless. This isn't an extravagantly expensive area and I would consider it reasonably priced. Sherman Oaks is where the Valley Girl was born. 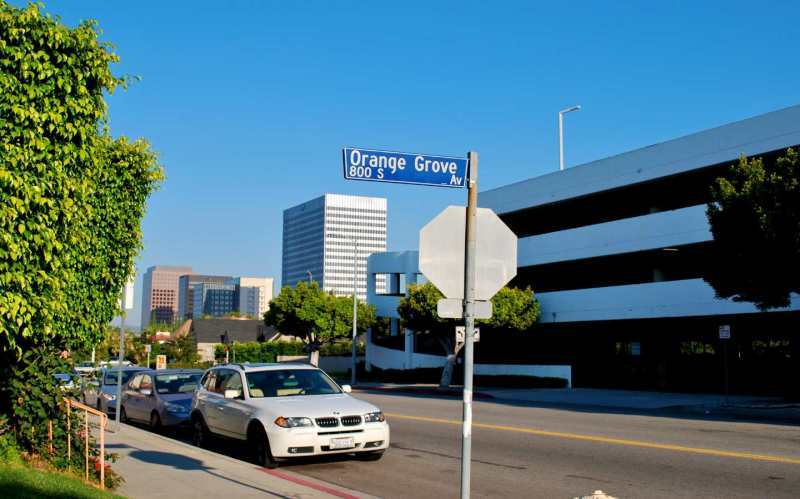 It is home to the iconic mall of the Valley Girl, the Sherman Oaks Galleria. The Galleria is the mall that such 80’s classics as Fast Times at Ridgemont High and Valley Girl, the movie were shot. Sherman Oaks is in many ways more like the neighborhoods closer to Los Angeles proper than it is to the San Fernando Valley, however. It is, to begin, much more urban than most neighborhoods in the Valley. There are high rises on Ventura Blvd. in Sherman Oaks. 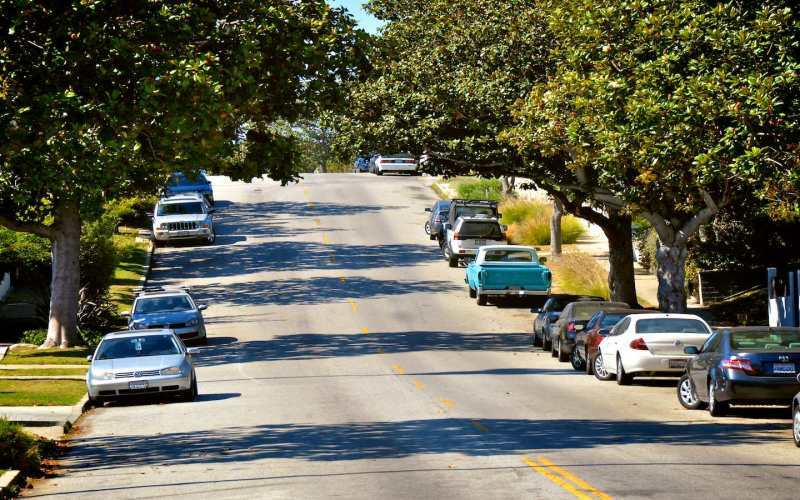 Recently the county saddled Sherman Oaks with an expanded section of what used to be Van Nuys. Many locals were not happy about this expansion and complained loudly. 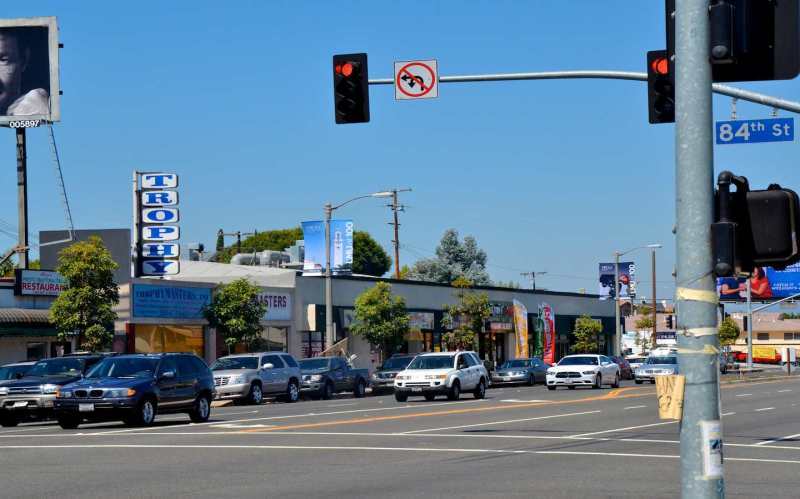 Sherman Oaks benefits from being at a crossroads. 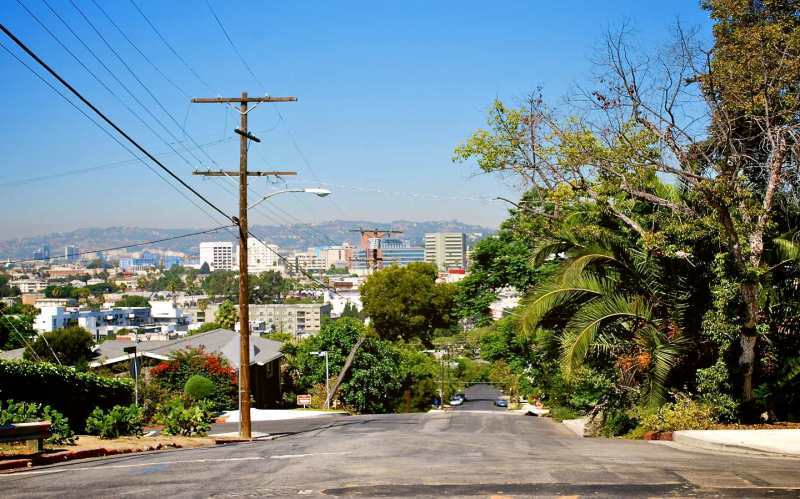 At its western boundary, you will find the 405 heading south towards the city, while the Ventura Freeway bisects the neighborhood’s northern section heading out towards Pasadena to the east and the West Valley. South of Ventura Blvd., Sherman Oaks is decidedly upscale, a fact that becomes clearer and clearer as you move up into the hills. 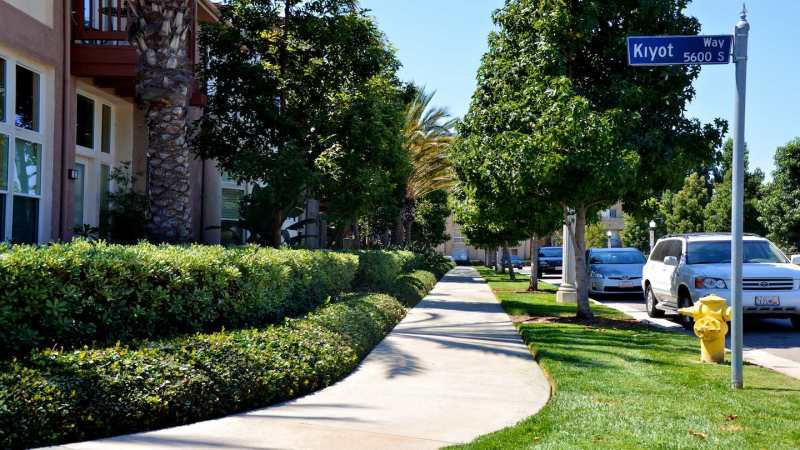 You get larger homes and expensive, well-manicured condominium complexes on this side. North of the freeway as you near the neighborhood’s new border with Van Nuys, the neighborhood’s become progressively more middle class. 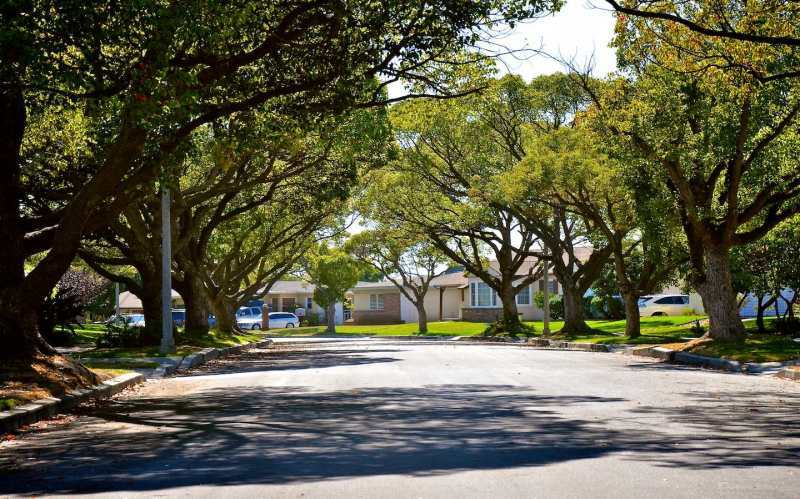 The homes are mostly well-maintained ranch homes with many large trees. 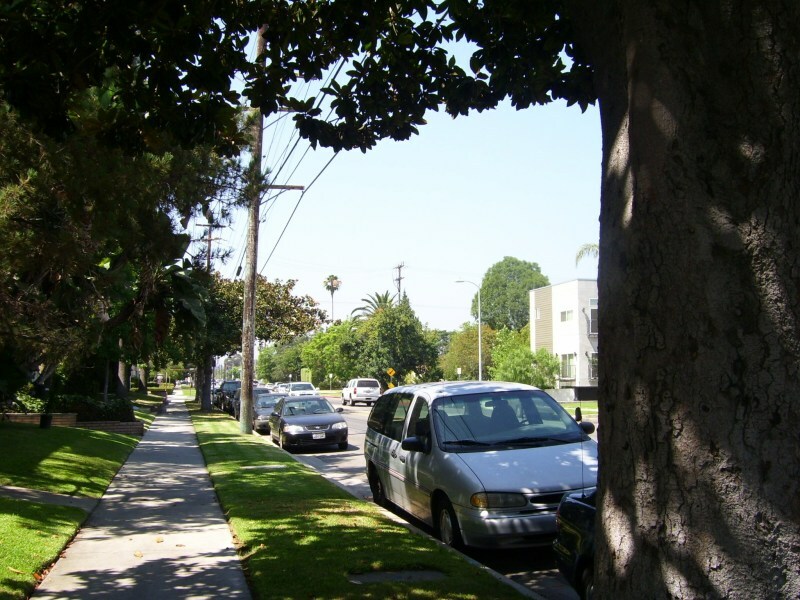 Sherman Oaks has a large to Jewish population, a fact reflected not only in the temples that Sherman Oaks is home to, but also in the fact that parts of the city adjust their street lights for the higher number of pedestrians on Jewish holy days, when much of the population is forbidden to use cars. Unfortunately, public schools here are not great. Grant High School is fairly undistinguished for a school in such a neighborhood. There are, however, a number of very strong private schools in Sherman Oaks. There is however a small performing arts charter school and several private Jewish schools in the neighborhood. The very well-regarded Harvard-Westlake and Notre Dame High Schools are also here. So, if you have the money, you certainly have local alternatives. As far as dining out, you will find several excellent pricy restaurants such as Café Bizou and Tiramizo (Spazio used to be here but they fell victim to the economic crisis). You can also find some local bars with a bit of character such as a British and an Irish pub. You might even find some jazz bars in Sherman Oaks proper, although if you want anything more intense you will have to go at least to West Hollywood. Although given Sherman Oaks central location, you are not really that far from most places in the city. And, of course, there is Jerry’s Famous Deli on Coldwater, a longstanding nightspot at the edge of the Valley. "Really nice suburb if a bit out of the way." 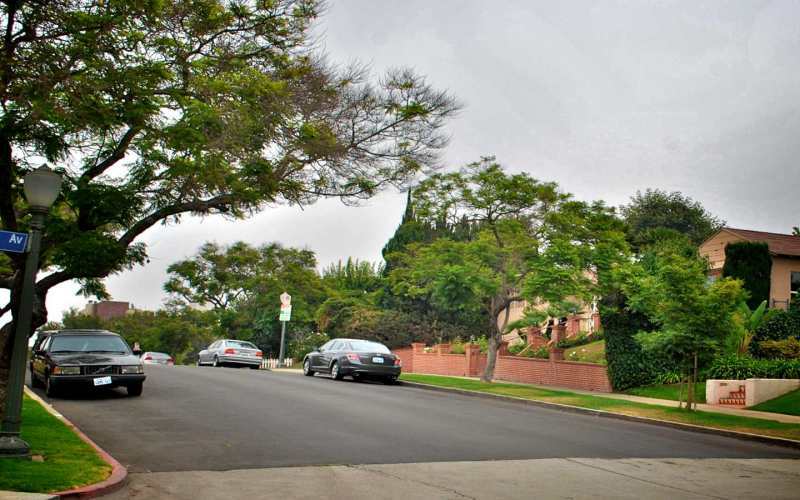 Encino is a really pretty, hilly suburb of the west valley. It's middle to upper - middle class with a lot of sprawling homes on a lot of green. 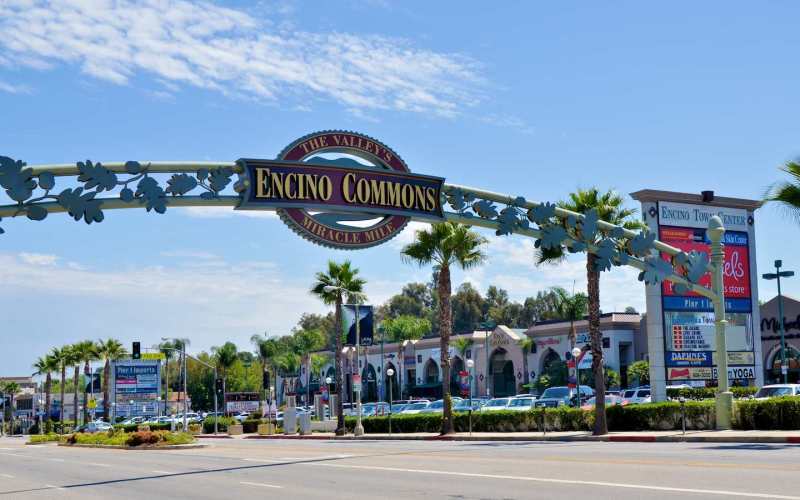 Encino was made famous for a couple of 80's movies (Encino Man, Bill and Ted's, etc), but the majority of the community is in the medical arena. There is a huge hospital right there and the residential property is somewhat expensive so that makes sense. Encino is pretty typical suburbia, which is, I suppose, why it was the locale for so many movies about suburban things. There are a lot of strip malls, a lot of chain restaurants, and a lot more of a small town feel than other parts of Los Angeles. The nice thing about Encino is that it has the 405 freeway and Ventura Blvd right there, so it's much easier to shoot into the major parts of LA than most other west valley enclaves. It still is a little bit of a trek, so if you want to be in all of the hustle bustle, Encino is not your town. But, if you are starting a family / settling down and are looking for a nice neighborhood that has a lot of green, this is it. 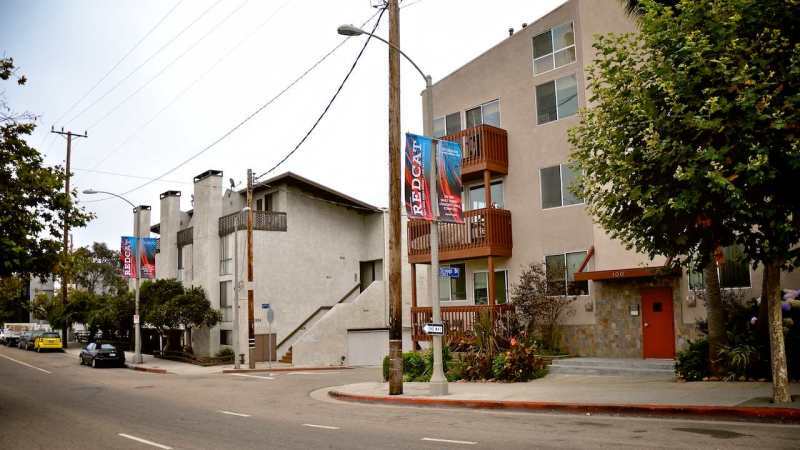 It's relatively inexpensive considering the neighborhood aesthetic and the proximity to the beach. 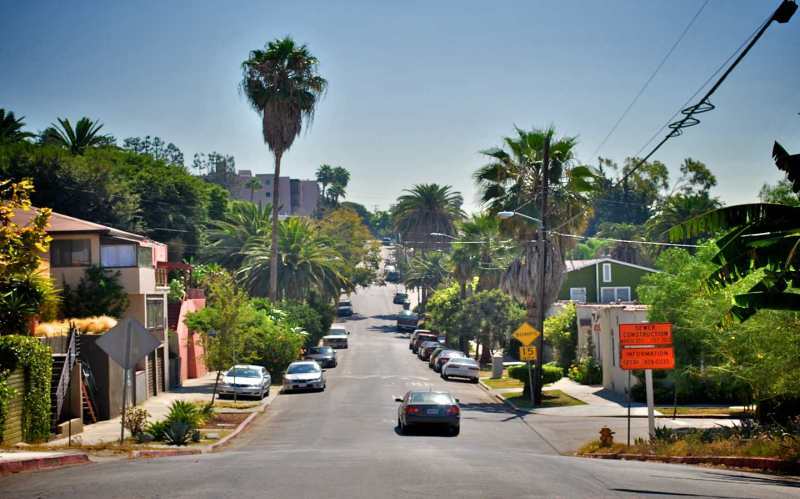 "A Dusty but Quiet Neighborhood"
Sylmar is a majority Latino neighborhood at the farthest northern point of the San Fernando Valley. When you are entering the Valley on the Grapevine, this is the first place that you arrive in just before the 405 breaks off. Sylmar’s location doesn’t draw very many people there unless they either live there or are visiting someone who lives there. It’s a relatively sleeping neighborhood, but it does have a certain charm to it. 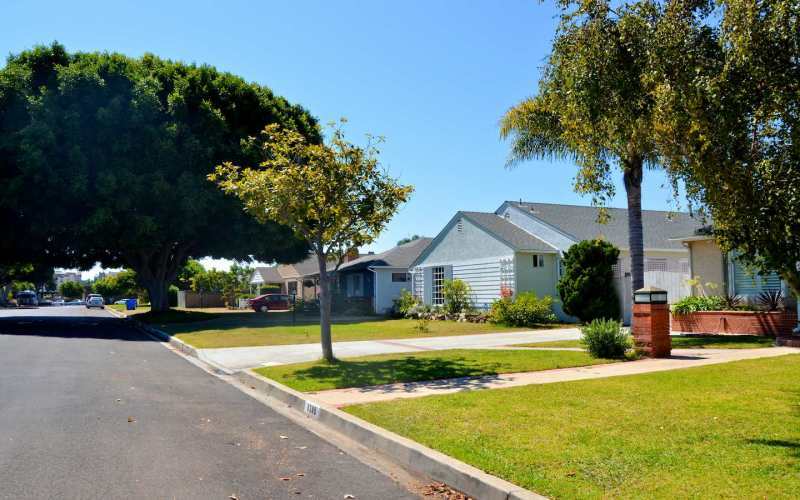 There is a mix of trailer parks, tract housing and the sort newer south western type houses with red tiled roofs and light colored walls that are so common in the West. There are lots of palm trees here and although the vast majority of streets are paved, the majority of sidewalks are not. This gives Sylmar a dusty, Arizona feel. Sylmar is an okay place to raise children. Sylmar High School, however, is not great, known more for its athletics than its academics. There is also a community college here, Mission College, which is not well as well attended as her sister schools to the south, Pierce and LA City College. Sylmar is also home to several plants that are crucial to the San Fernando Valley. There is both a power plant here and a water treatment plant where the aqueduct that brings water from Nor Cal ends. Several businesses also make their home here. For example, Anhauser Busch has a plant here. Overall, Sylmar is a quiet place to raise kids. "Great Area For Young Professionals"
Encino, much like neighboring Tarzana, is an upscale neighborhood made up of well-paid professionals. Unlike Tarzana, however, Encino also has a strong financial district, distinctive shopping areas and outstanding outdoor recreation. 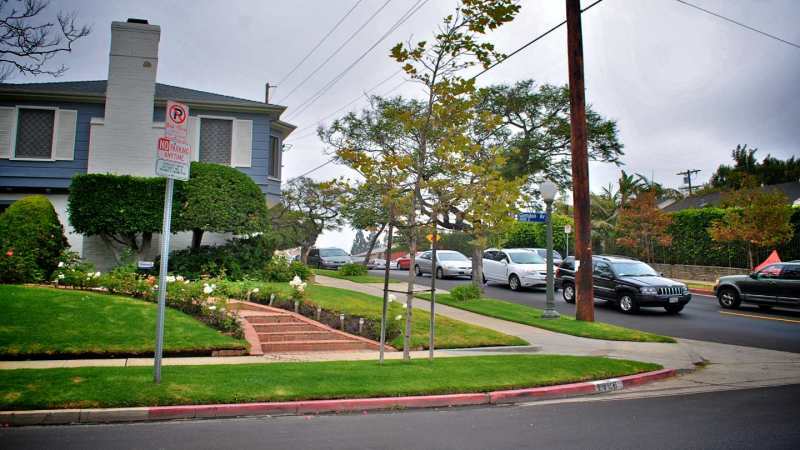 Encino is also bordered by the 405, making it an excellent location for those who need to commute into LA proper. Ventura Blvd. is the main artery through Encino, and as throughout the Valley, it is one long strip mall. 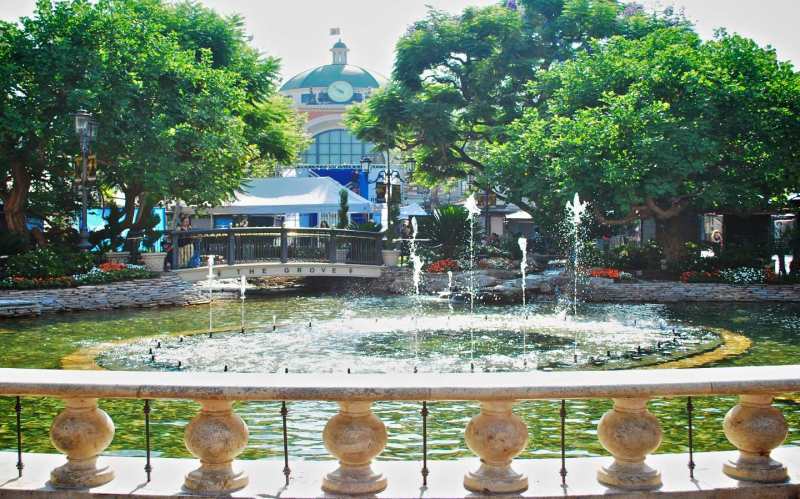 It is no different in Encino but there are some unique spots for you to satisfy your shopping bug. Plaza del Oro shopping mall is perhaps one of the best when it comes to this. With its faux Spanish architecture and outdoor setting, it really works hard to give the shopper an experience. As in Tarzana there is also a definite cosmopolitan feel to the restaurants in Encino. 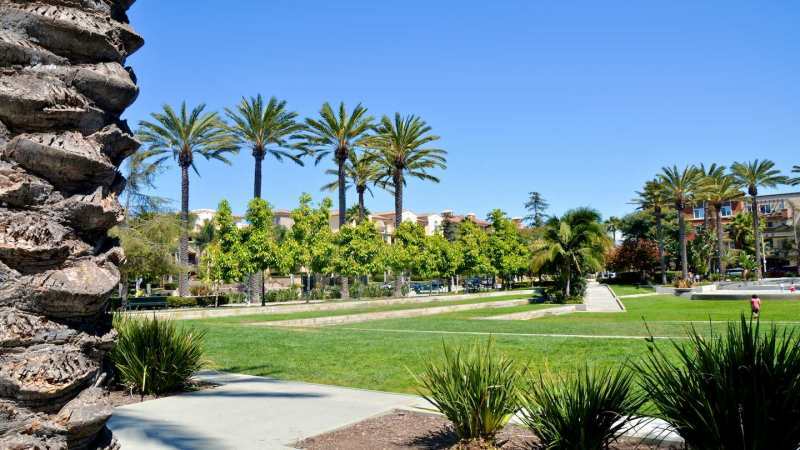 To the north of the Ventura Freeway you also find Balboa Park, the prime recreational area in the entire Valley. Soccer and baseball leagues abound there. Encino also boasts cricket fields (the sport not the insect) though I’m not really sure why or how this came about. Where Encino becomes a bit less attractive than its more western neighbors Tarzana and Woodland Hills, is in its choice of high schools. Encino students either go to Birmingham or to Reseda High. Birmingham is not a bad school, offering many strong programs and a large diverse student body, but Reseda High does have some gang problems and is not as well known for its academic programs. Neither program however compares well to Taft or Crespi as far as academics are concerned. Despite this, a great place for younger working singles, if you can afford it. "Cosmopolitan Cuisine, Doctors and Gated Communities"
Even as a kid, I had a firm sense that Tarzana was a very nice upscale neighborhood. Tarzana nestles gently up against the Santa Monica mountains along the south of the Valley. 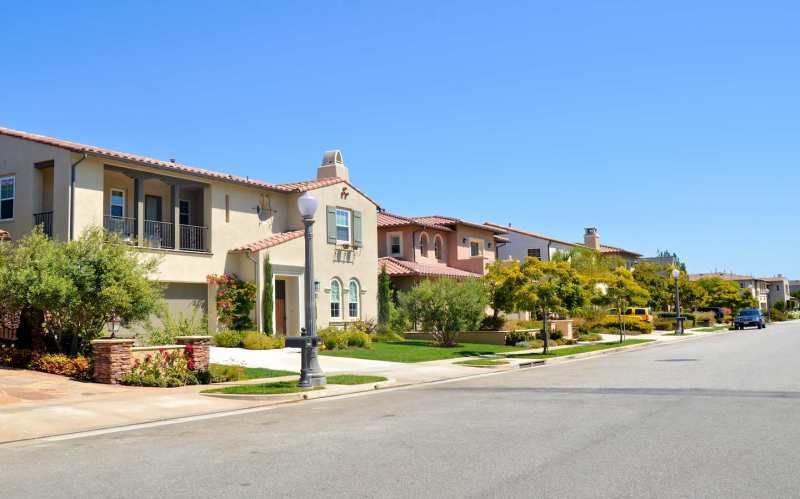 Despite urban sprawl, Tarzana has remained an upscale enclosure—in large part thanks to the high property values and the gated communities that have come to characterize so much of So Cal. 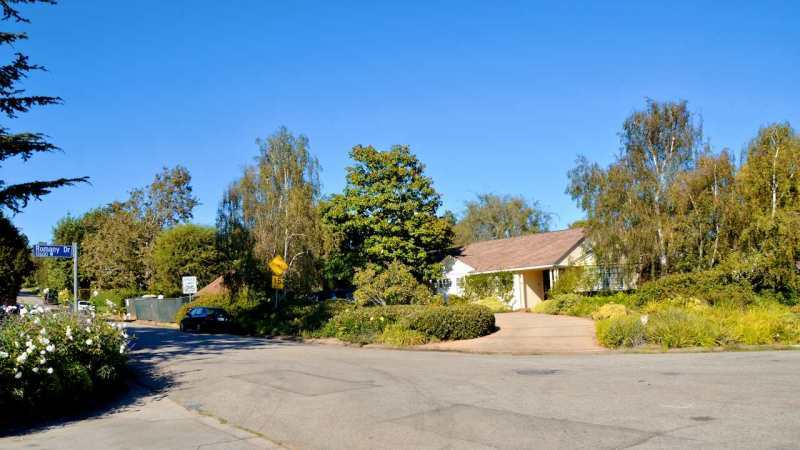 Tarzana’s proximity to the Tarzana Medical Center has made it an attractive location for doctors and especially internists who get summoned at all hours of the night. Its relatively short commute down into Westwood and to other LA locations has also made it a popular location for entertainment types like Michael J. Fox. 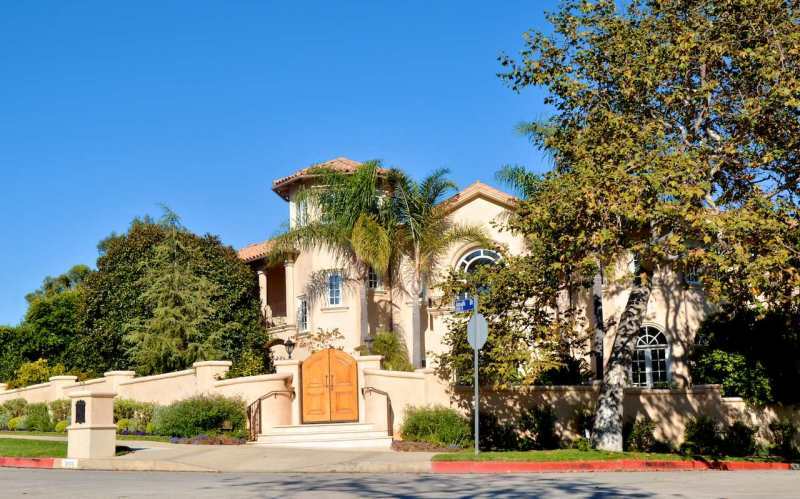 Tarzana’s nice homes extend south of Ventura Blvd. and up into the hills. 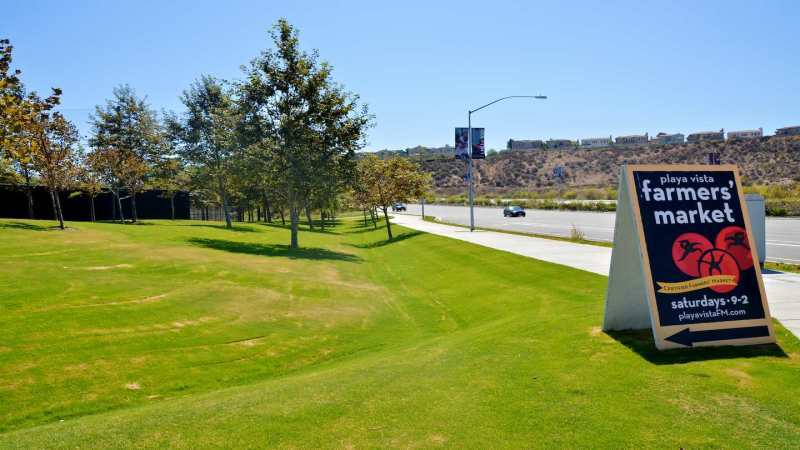 It has all the signs of an upscale neighborhood, including multiple country clubs and golf courses, along with great views of the smoggy San Fernando Valley. 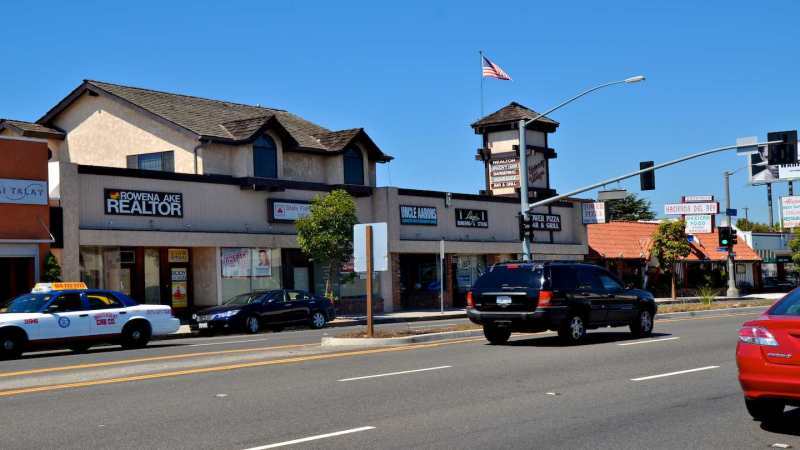 Tarzana also has a large Iranian American and Jewish Community—a fact important because you see its effect on the very cosmopolitan nature of the restaurants you will encounter on Ventura Blvd. You can find very good Middle-Eastern, Chinese, French and Indian restaurants along the boulevard. Many of the strip malls also have an upscale style to them—you can find jewelers and luxury car dealers for example. 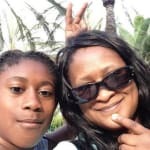 Tarzana is also a great place to raise kids. The two highschools for example, Taft and Crespi are both known for their academics and rigor. Crespi is a bit preppy, while Taft was my alma mater way back when. 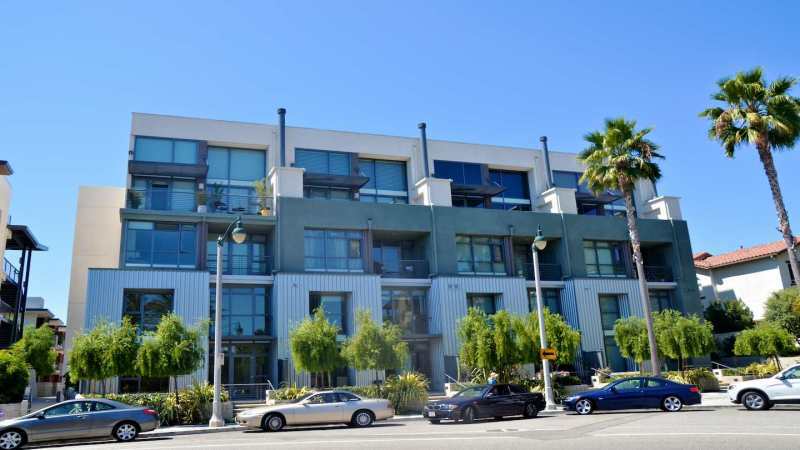 North of Ventura Blvd., Tarzana quickly gives way to Reseda, but at this border, you can find very nice and somewhat affordable apartments that allow you to feel as if you live in Tarzana, but at closer to Reseda prices. "A Melting Pot, but Can't Recommend It"
Although my family moved around quite a lot during my childhood, I made at least three stops in Reseda. I enjoyed my time in Reseda, although even back then in the 70’s and 80’s, it had already become a bit run down. It was, however, an archetypically American place, in that it was the sort of melting pot that it is easy to overlook. My class at elementary school was a great mix of white, Hispanic, Asian and Black students. Quite frankly, I was relatively oblvious about it because I thought that this kind of mixing took place everywhere. Despite this positive aspect of Reseda and the nostalgia I have for the good times of my childhood that I spent there, I simply can’t recommend it any more. The other day, I went by one of the homes I lived in when I was around 12 and found that its windows were boarded up and the grass on the lawn left to die. There were broken down cars on some of the lawns and most of the houses had an unkept look. I would like to say that this was contained to my street but it is not. I guess this sort of stopped in time quality to Reseda is the reason why so many directors—like Wes Anderson for example—like to choose it when setting a moving in the seventies and eighties. 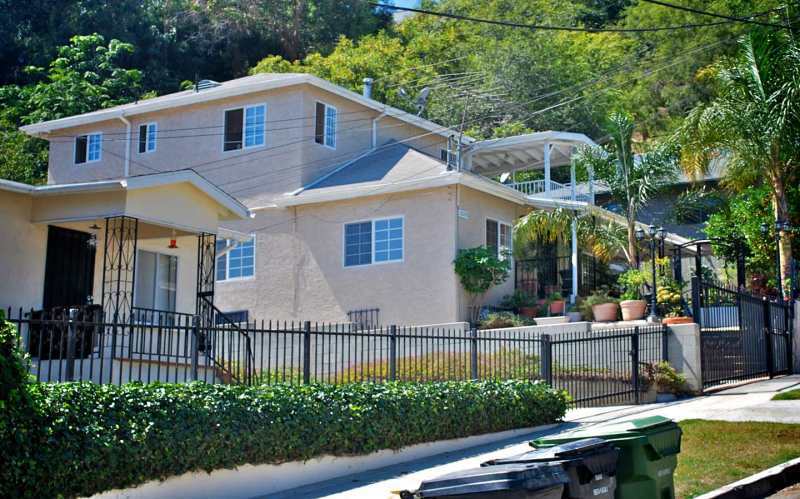 This is not to say that there aren’t some nice homes and apartments in Reseda—there definitely are. But its one of those things where you will get a really nice house and then two houses over you have a boarded up shell of a house. There is also an element of danger here that would make me worry if I lived with my kids in Reseda now. My brother had his share of troubles at Reseda High School when we were kids, but now the gang problems seem far worse. I would worry if I sent my kids off to Reseda High or Mulhulland Junior High now. 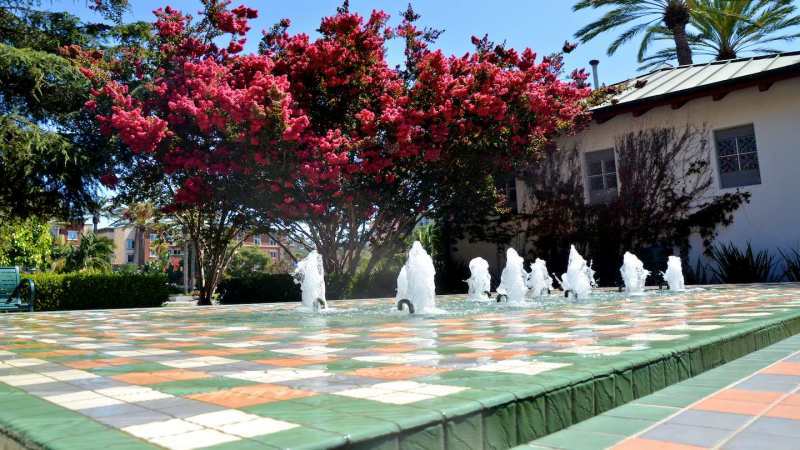 During the 1920's, this neighborhood was known for it's family-friendly areas and atmosphere. With a beautiful carnival, eateries, and shops right by the sea, this area was picturesque. 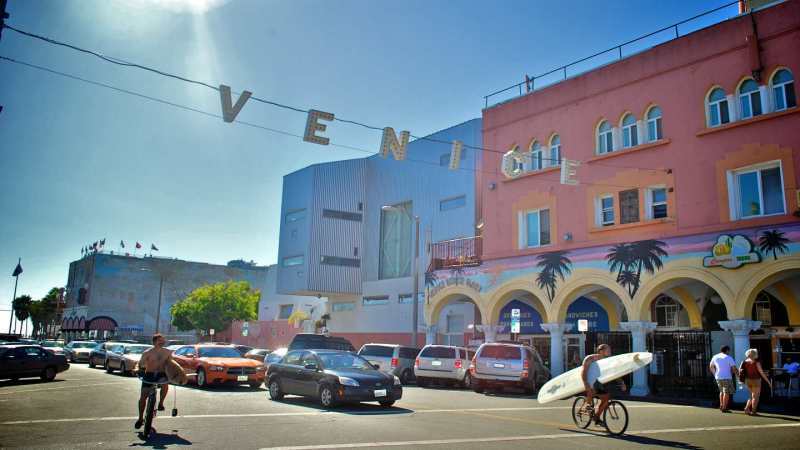 However over the decades, bankruptcy prevented Venice from being the same neighborhood it once was. it went downhill, as Venice used to have nicknames that represented the bad reputation that followed it for years. Names like Ghetto Beach and Slum by the Sea, this neighborhood had a bad rep that didn't change for many years. Now, former locals are in awe of the changes that have been made. 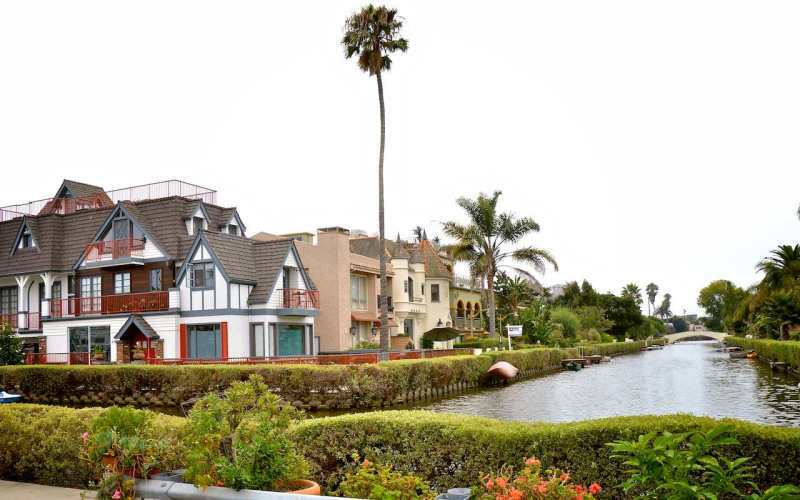 Today Venice is one of the most expensive places to live in the LA area. With homes near $5,000,000, this city has made quite the comeback. 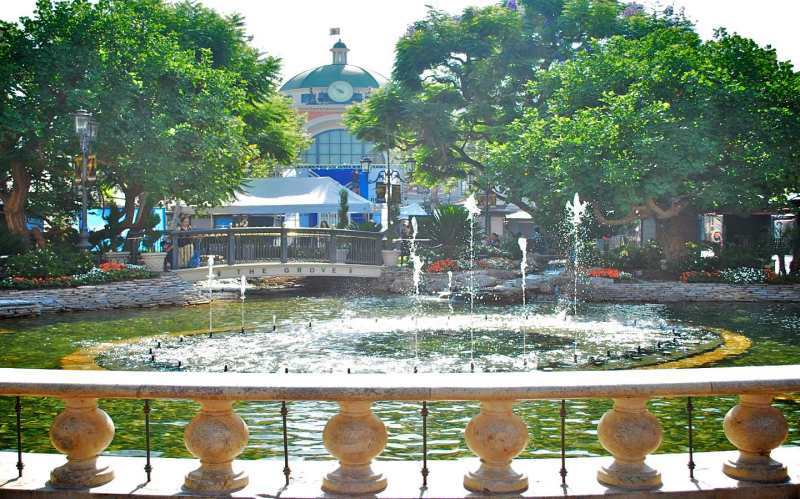 It is filled with award winning, 5-Star restaurants, designer ships, local stores, high end art galleries and museums. Unlike most of LA, Venice has quite a bit of pedestrian traffic. it is right by the beach with everything you need easily accessible without needing to venture downtown. There is a nightlife, plenty of places to eat and various sights to explore. I see this area as a place for singles or younger couples as it didn't seem to be a very family oriented area as it once was in the roaring 1920s. 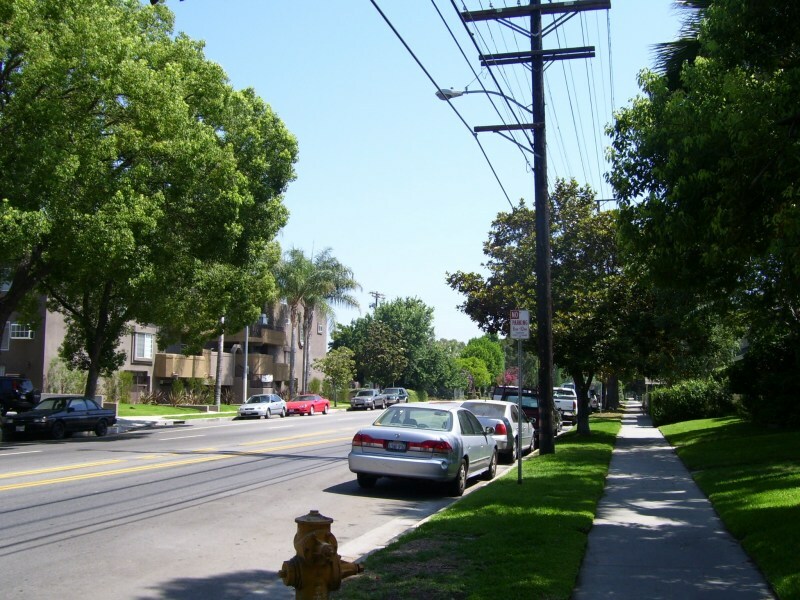 "A neighborhood with a sense of community"
West Hills is an area located toward the west end of the San Fernando Valley. West Hills has its own sense of community, with residents fighting to get a separate name from Canoga Park, which happened in 1987. There are houses there that were built in the late 1950’s, when the area was still agricultural, but there are also a number of fairly new developments. Most of the homes are in the northwest part of the area, with the medical facilities, shopping and businesses located in the southeast. 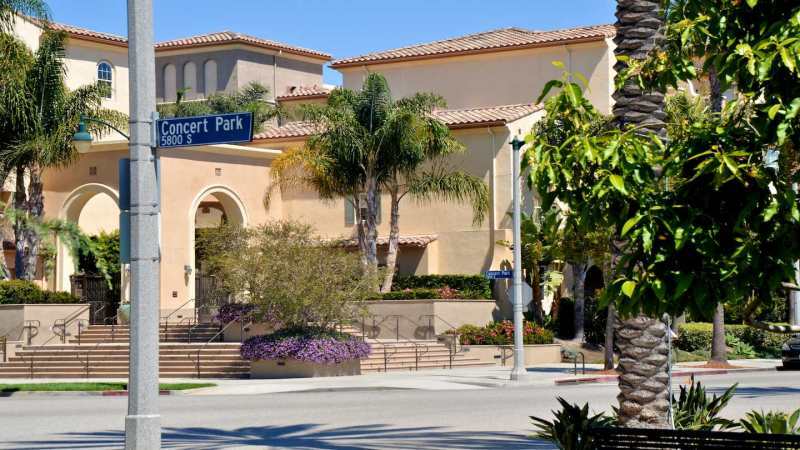 West Hills is a somewhat upscale suburban neighborhood, with many public parks as well as wild spaces inside West Hills and around it. Most of the schools belong to the Los Angeles Unified School District. However, there is no public high school in West Hills proper. Most of the students go to either Canoga Park Senior High just to the east, or to El Camino High School to the south. El Camino has fielded the most winning Academic Decathlon teams in the entire country. Chaminade High School is a private school in West Hills; many area residents attend Chaminade, which is known for its football teams. West Hills Hospital and Medical Center offers full services, and is upgrading its emergency department, ICU and the rest of its facilities. In fact, it will shortly become home to the Grossman Burn Center, one of the best burn treatment facilities in the country. The hospital is surrounded by medical offices. 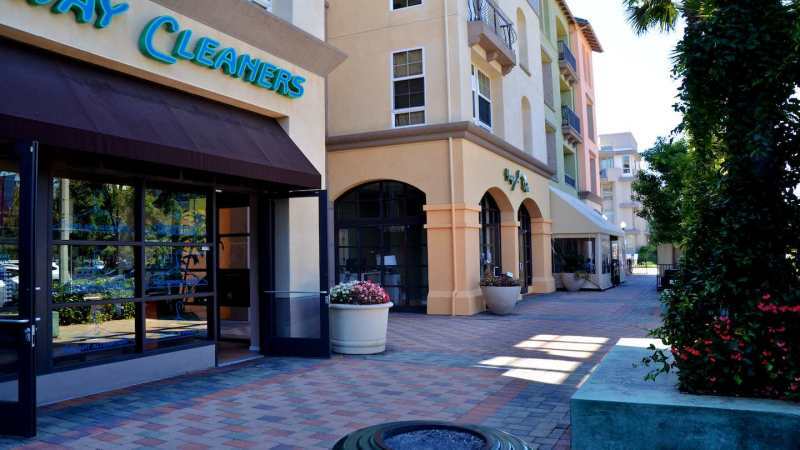 There is shopping at the Fallbrook Center (or Mall), which in addition to a number of chain stores has a Laemmle’s movie complex that shows foreign and independent films that you can’t usually find at the local multiplex. 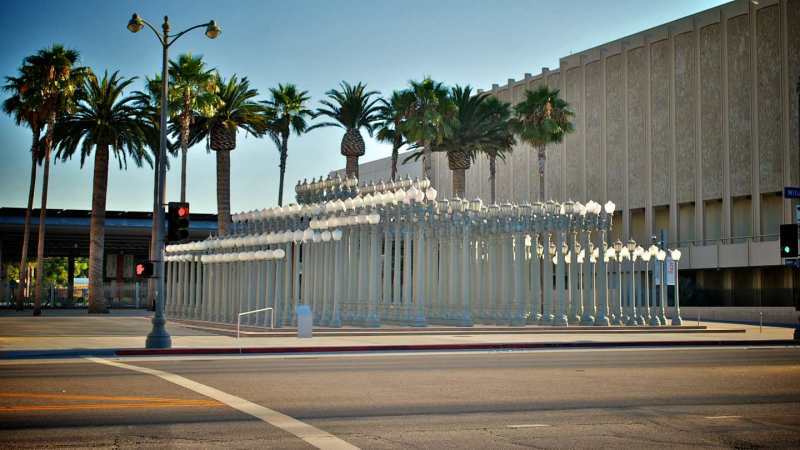 There are two Los Angeles Historical-Cultural Monuments in the area. One is the Orcutt Ranch Estate, a 1920 adobe, built by William Warren Orcutt, an early oil pioneer. The other, Shadow Ranch, was a working ranch owned by an Australian who brought eucalyptus trees with him in the 1870’s. Some say that all the eucalyptus trees in California came from Shadow Ranch. They are a mixed blessing; they grow fast and provide shade, but are extremely combustible, in an area where fires are a problem. There are community facilities, sports and play areas on this site. The open spaces around West Hills make it feel like you are out of the city. These include El Escorpion Park, Bell Canyon Park, and the Upper Las Virgenes Canyon Open Space Preserve which is part of the Santa Monica Mountains National Recreation Area. There is hiking at all of these parks, and sometimes special scheduled events. 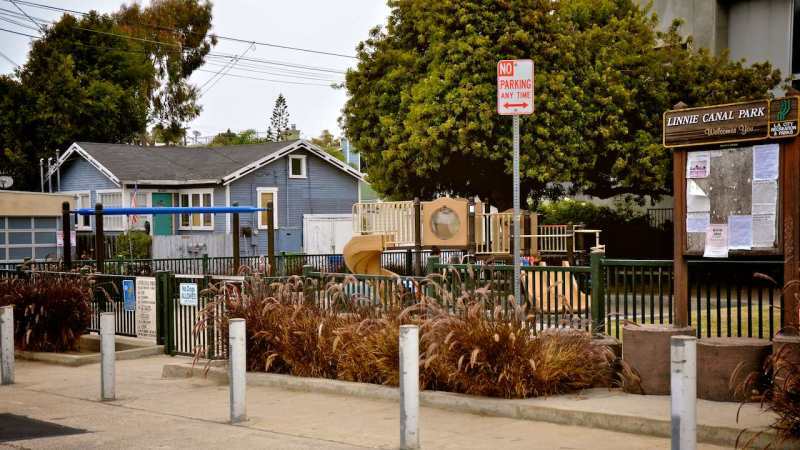 There are also 8 or 9 neighborhood parks which vary in size, some of which have a selection of sports facilities, others with playgrounds, and picnic tables. The West Hills Neighborhood Council is very active, helping to represent the community and make sure its voice is heard within Los Angeles County. There is an annual Fall Fest in October, with food and activities for the whole family. 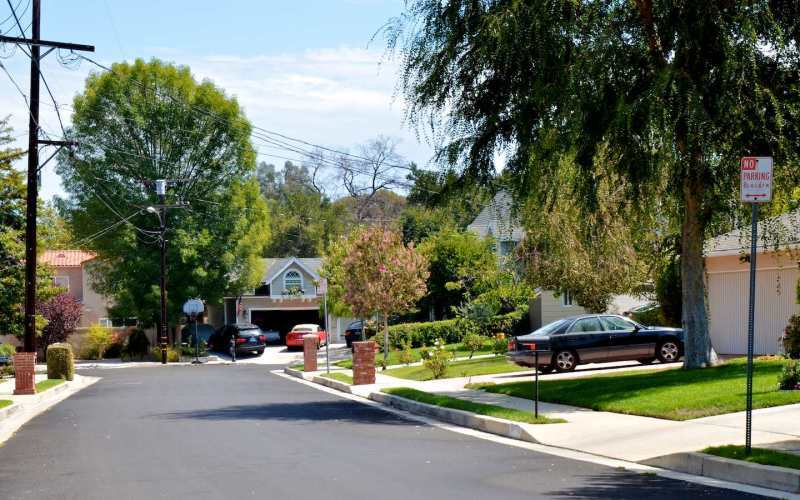 Woodland Hills is a solidly upper middle class neighborhood with lots of streets where people have lived for years and know each other giving it an almost small town feel in areas. This is mostly in the hilly area south of Ventura Blvd. on the southern section of town. 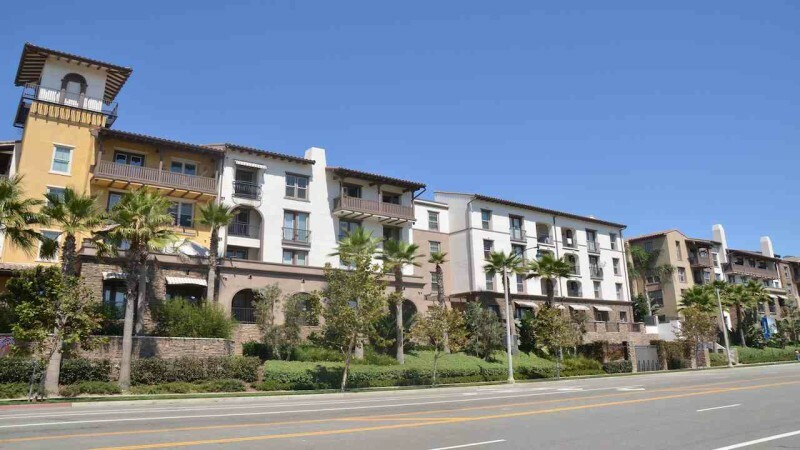 North of the Ventura, you get a lot more apartments and condos—still nice but a little less closely knit. I’ve grown up here and watched as Woodland Hills became more crowded and more urbanized. About thirty years ago, there were barely any buildings around Taft High School, for example. Now the whole area is overrun with new homes and new buildings. You feel safe living in Woodland Hills. The police is very responsive and the few times I had to call them—like when a weird homeless looking guy decided to take a nap on my front lawn—they came right away. 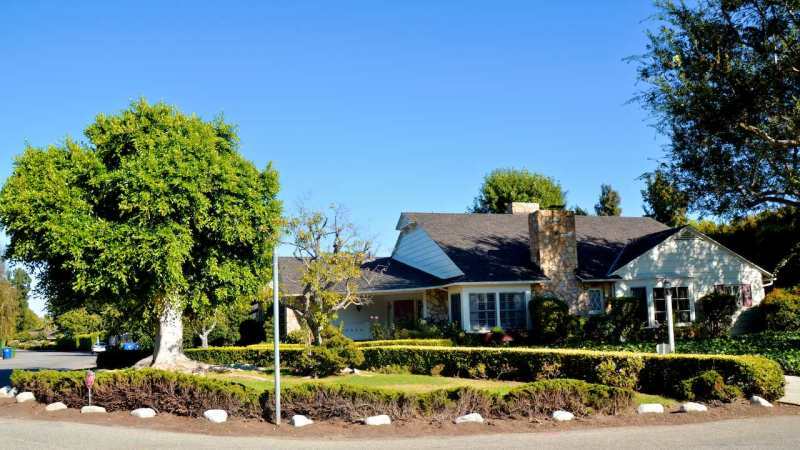 Crime is not the problem around here that it is farther east in the Valley though many people have pulled up stakes in the last couple of decades and headed even farther west to Westlake and Ventura County in an attempt to escape what they fear is the deterioration of the area. We only get about one murder a year here however, and then it is usually some shady sort of dealing not drive-bys or anything like that. As far as restaurants go, there are a bunch of Indian and Italian food joints along Ventura and even a great French restaurant, Brandywine. I also have a personal soft spot for Rib Ranch on Topanga Canyon where I worked briefly as waitress in high school. These aren’t, for the most part, the sort places people would drive across the Valley for, but they are good alternative to hitting the traffic on the 101. Taft High School is also along Ventura Blvd. 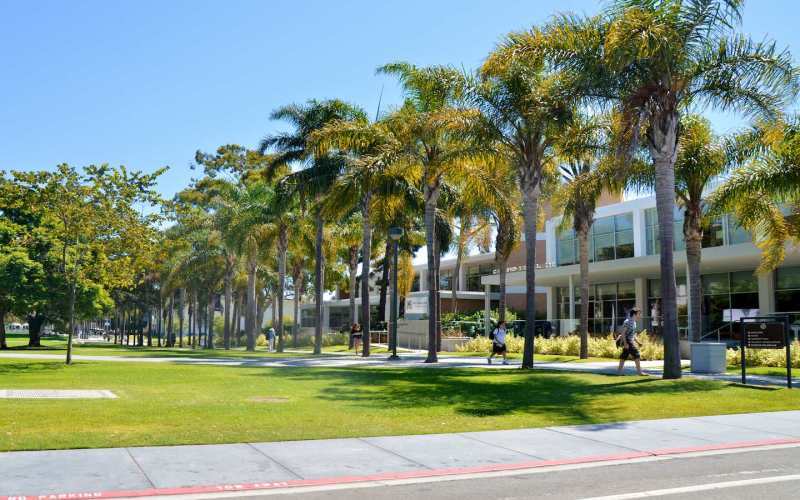 It is well-known for its academics—its academic decathlon team won nationals a few years ago. If you are familiar with the 80’s show, Family Ties, this is the high school that Justine Bateman attended. The teaching is top notch with many students making it into Ivy League schools. 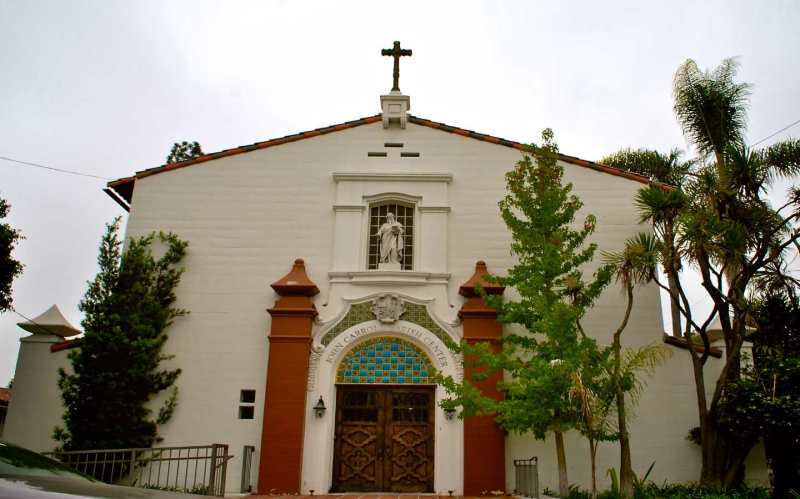 There are also several prestigious private schools in Woodland Hills with nearby Crespi being only the most well-known. Also, just up Winnetka Street from Taft is Pierce College, the community college that serves this end of the Valley and one of the main feeder schools for UCLA. Warner Center, a large conglomeration of high rise office buildings, and the Promenade Mall, a nice, slightly snooty mall, are in the northern area of Woodland Hills where it borders with Canoga Park. 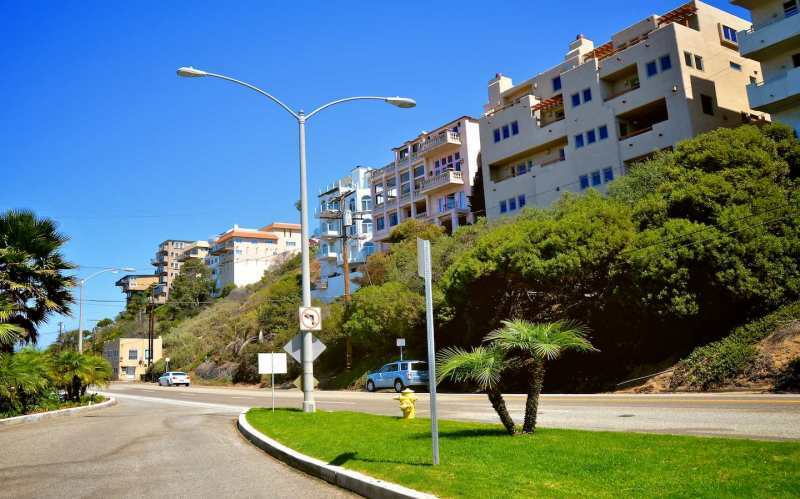 To the West of Topanga Canyon, although there are some nice apartment buildings and condominiums, the houses become decidedly more middle-class and more affordable. 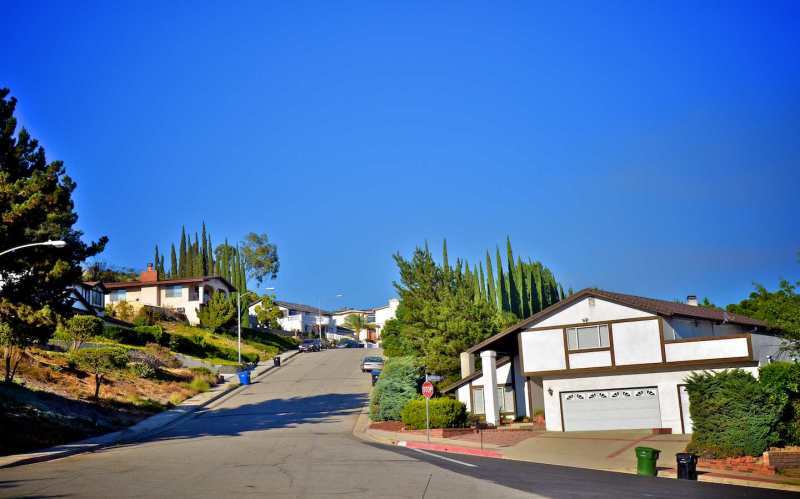 Overall, Woodland Hills is the sort of place people live when they want to commute into Los Angeles, or when they have families they would like to raise. 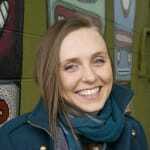 ValleyGirlTori A recently read a report in the LA Times that changed my view a bit about my neighborhood. 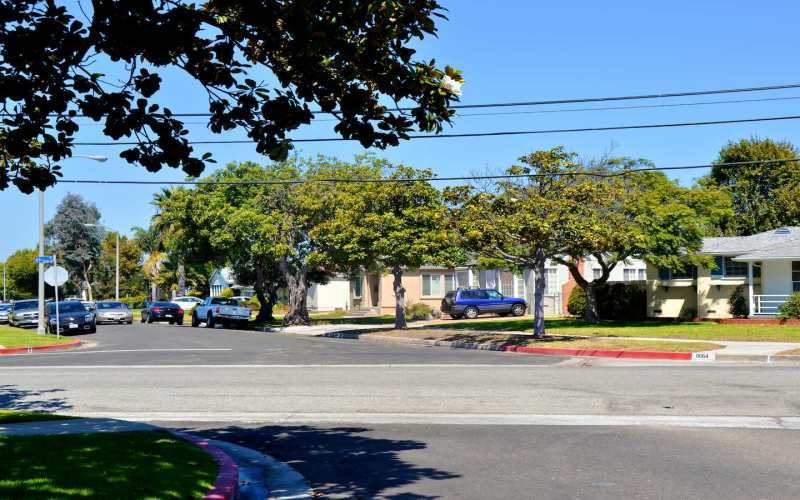 It turns out that though Woodland Hills is very safe in terms of violent crimes, it is one of the most crime ridden in terms of property crime like burgleries and thefts. I guess that only makes since given the bad element that I sometimes see down by the supermarket. Just something to keep in mind. "Weather, lifestyle, attitude, what more do you want"
"Rancho Park is a quiet affluent community. Million dollar homes." "The New Center of Los Angeles"